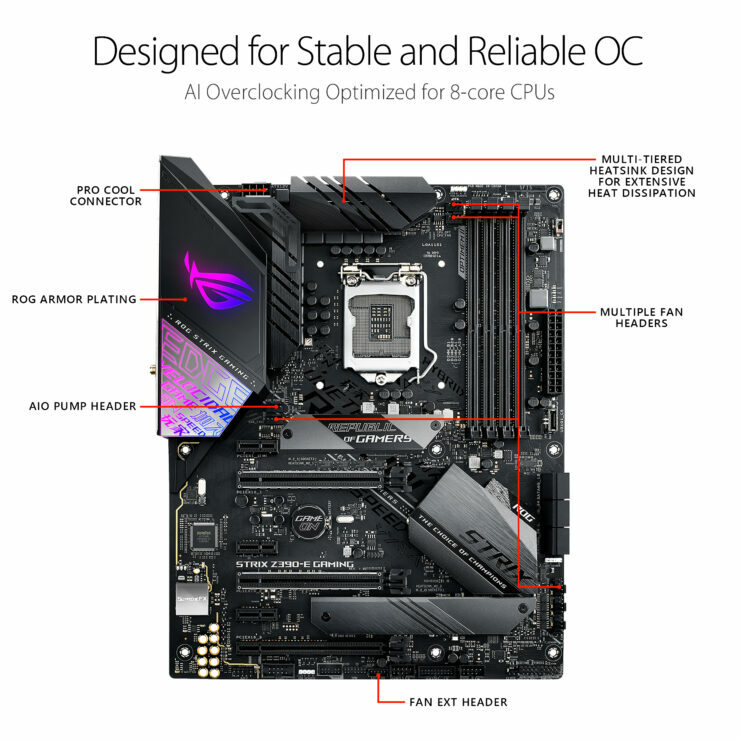 ASUS has announced an astonishing 20 new motherboards based on the Intel Z390 chipset which will offer support for the new 9th Generation Core CPU family. 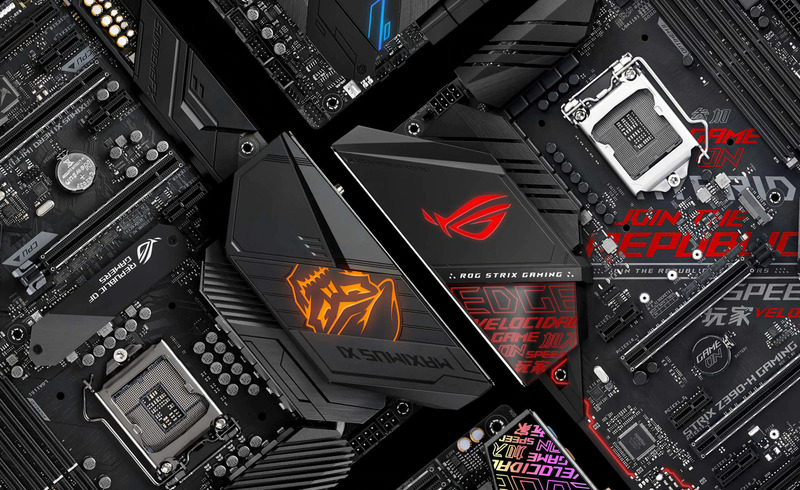 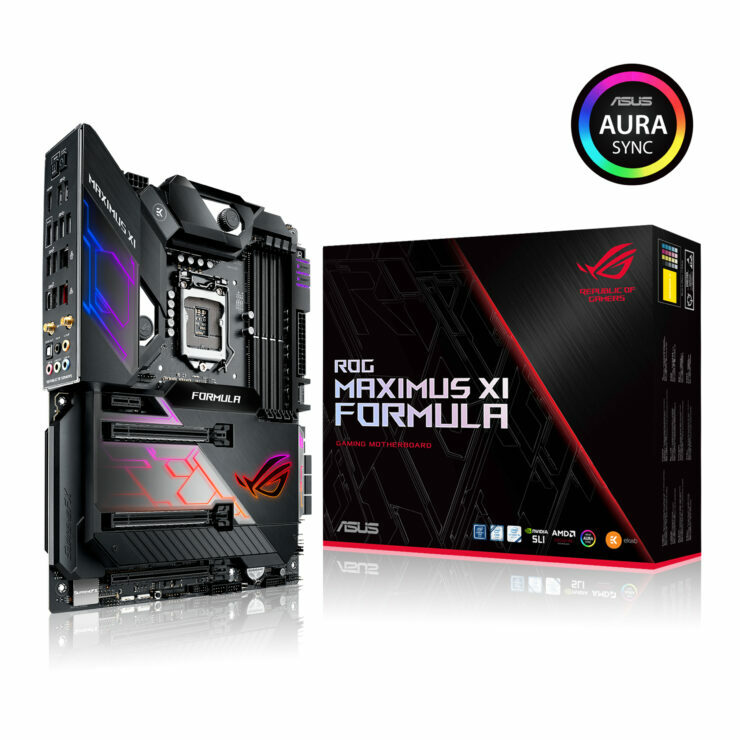 The motherboards are part of the different series which include the ROG Maximus XI, ROG STRIX, TUF Gaming, PRIME and also the workstation part which we will be detailing today. 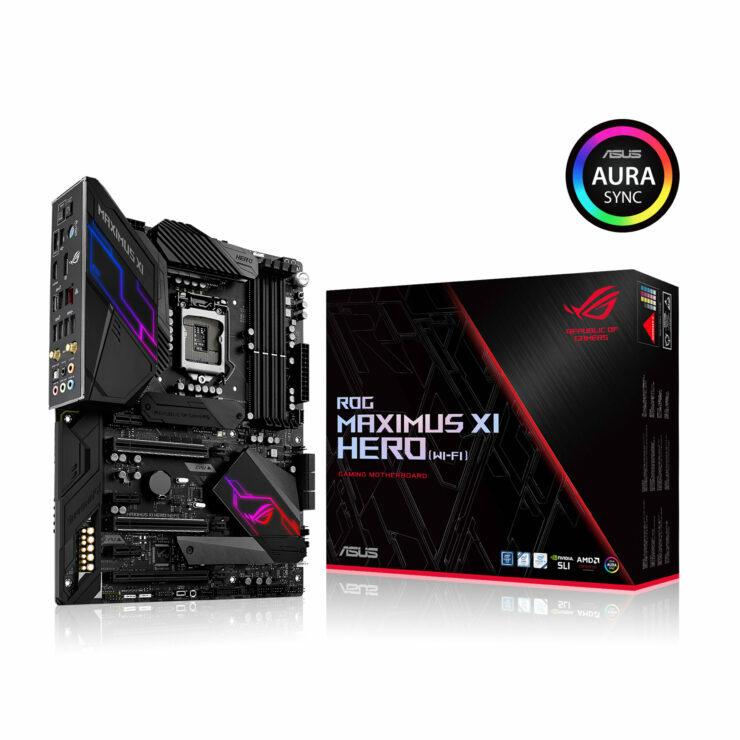 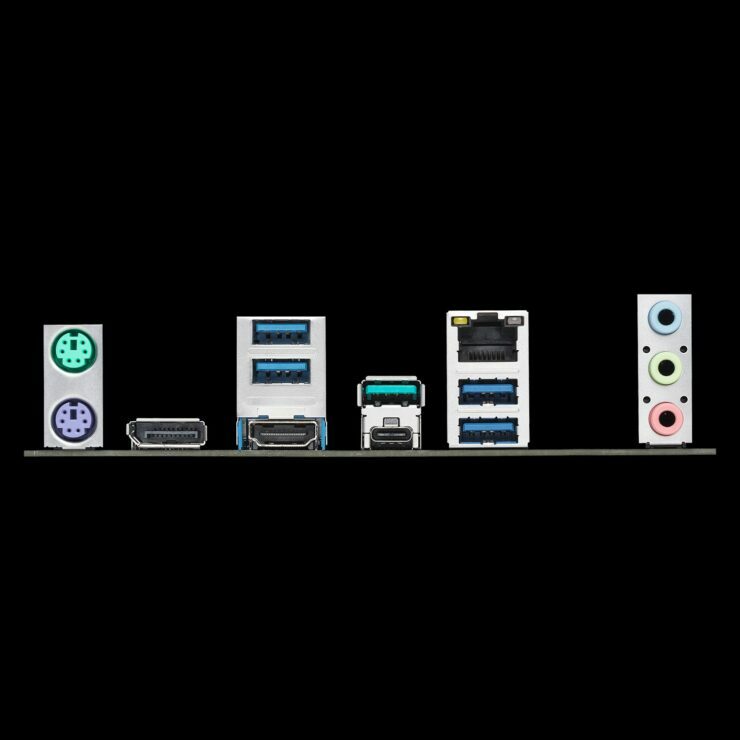 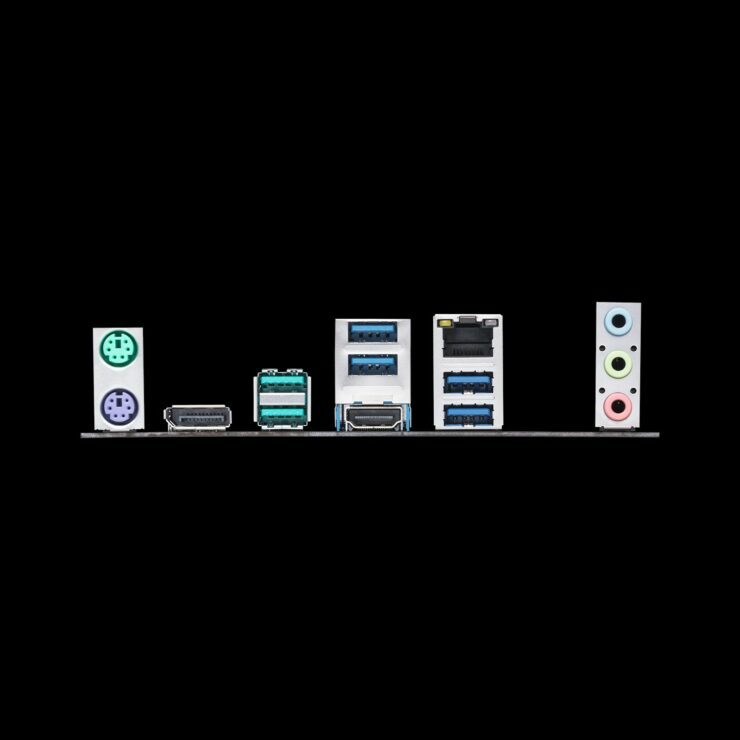 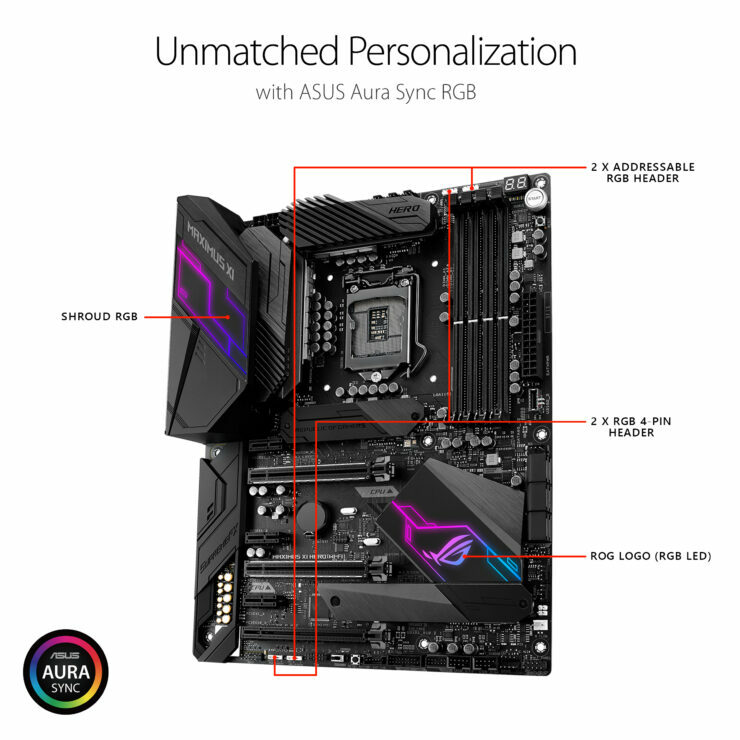 As you can tell, there are a ton of motherboards that ASUS has introduced with this launch and rather than taking a look at every single motherboard, we will focus on the flagships of each tier while offering specs of the other motherboards below. 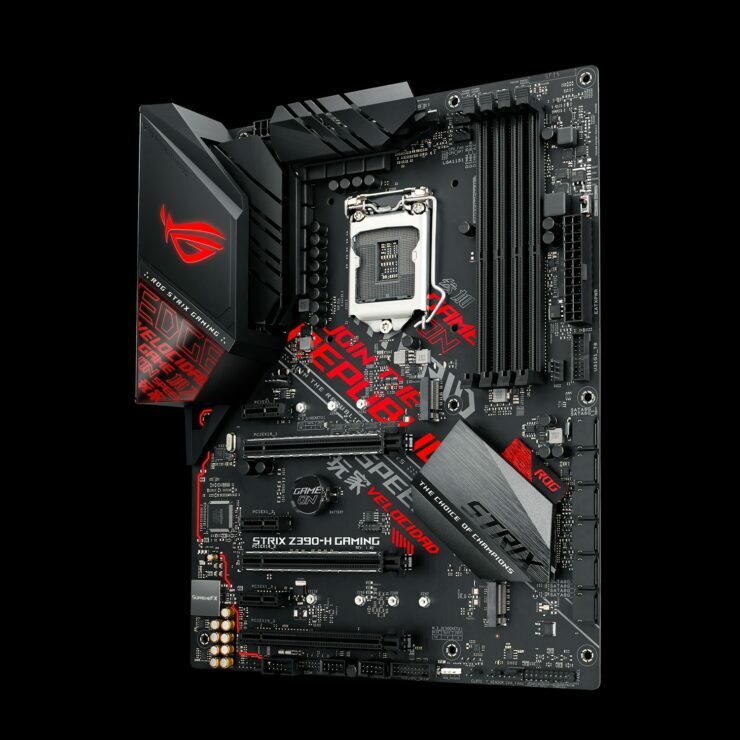 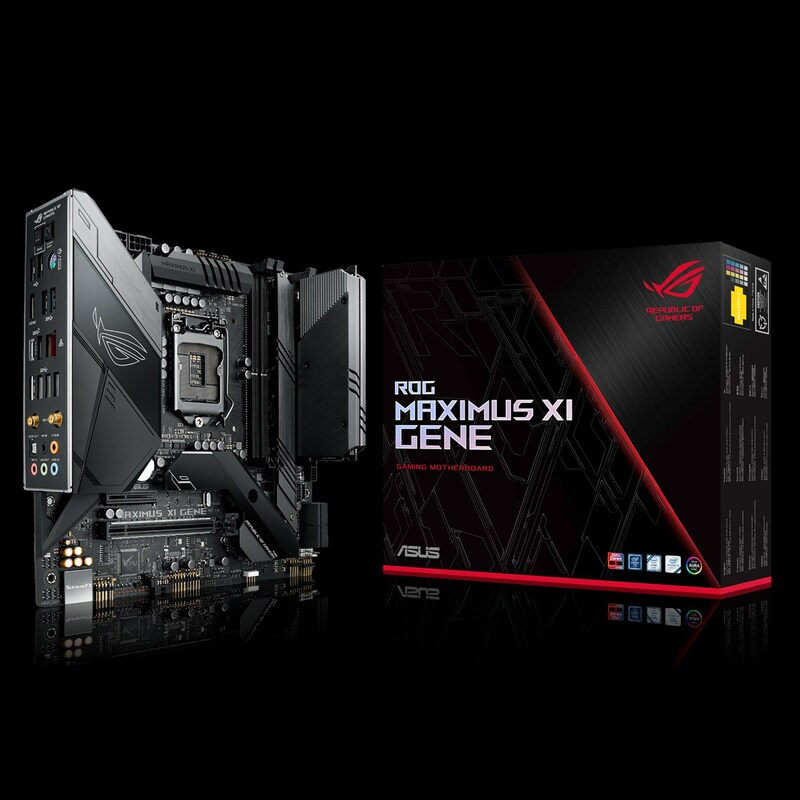 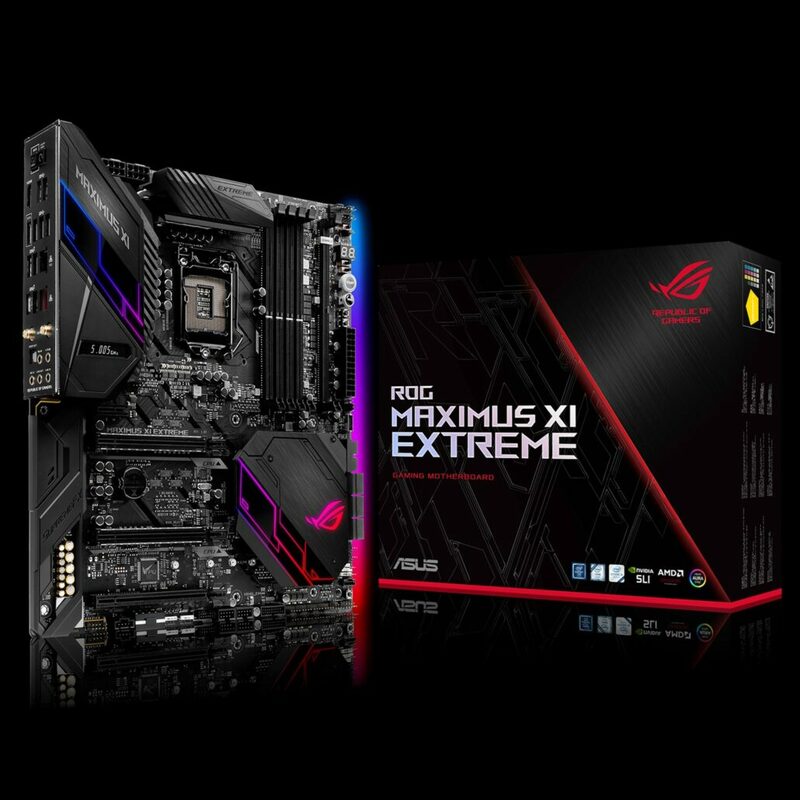 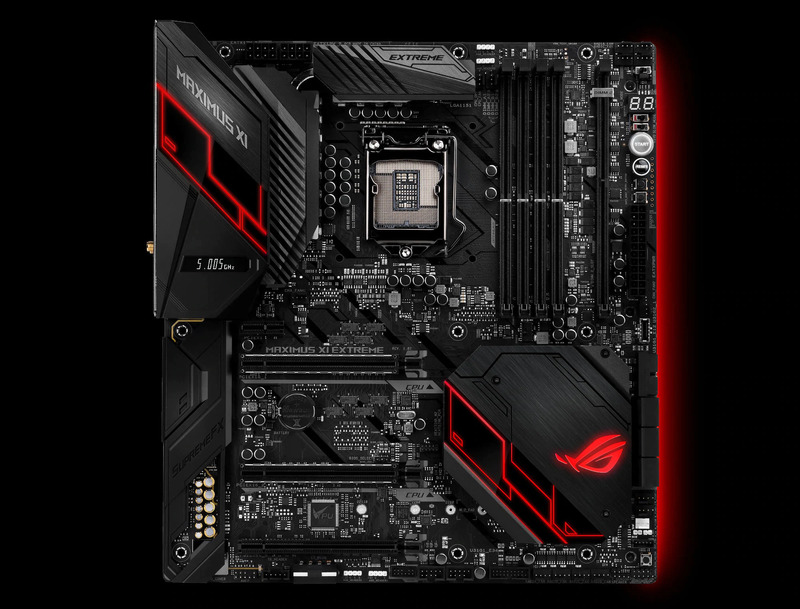 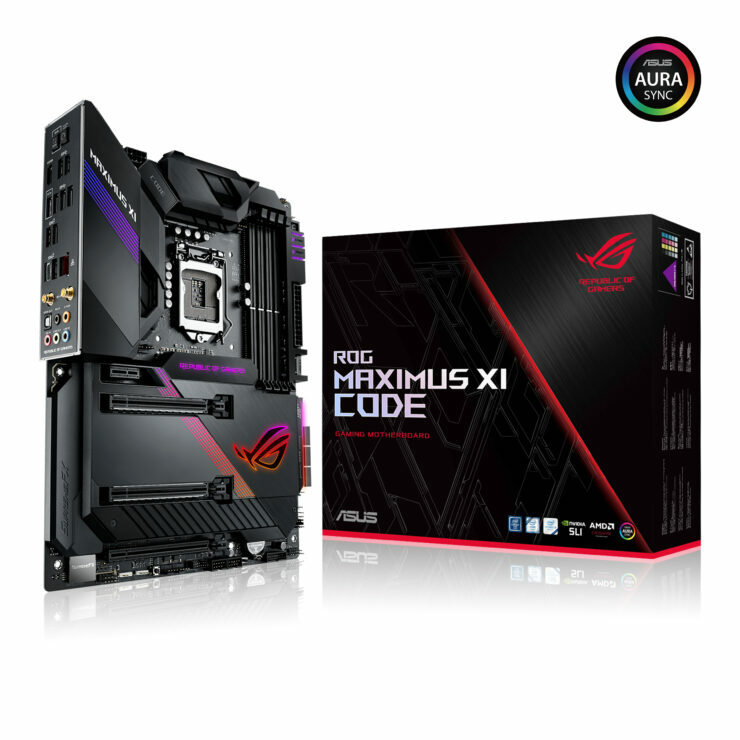 The flagship motherboard of the ROG Maximus XI series is the ROG Maximus XI Extreme. 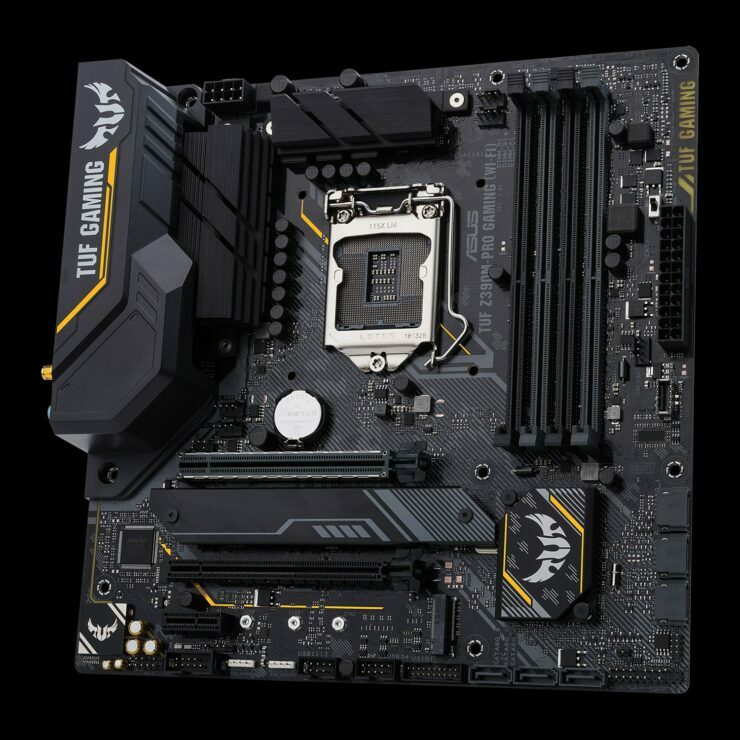 This one is a feature-packed behemoth which rocks an E-ATX form factor and comes with the LGA 1151 CPU socket to support the next-generation Intel Core processors. 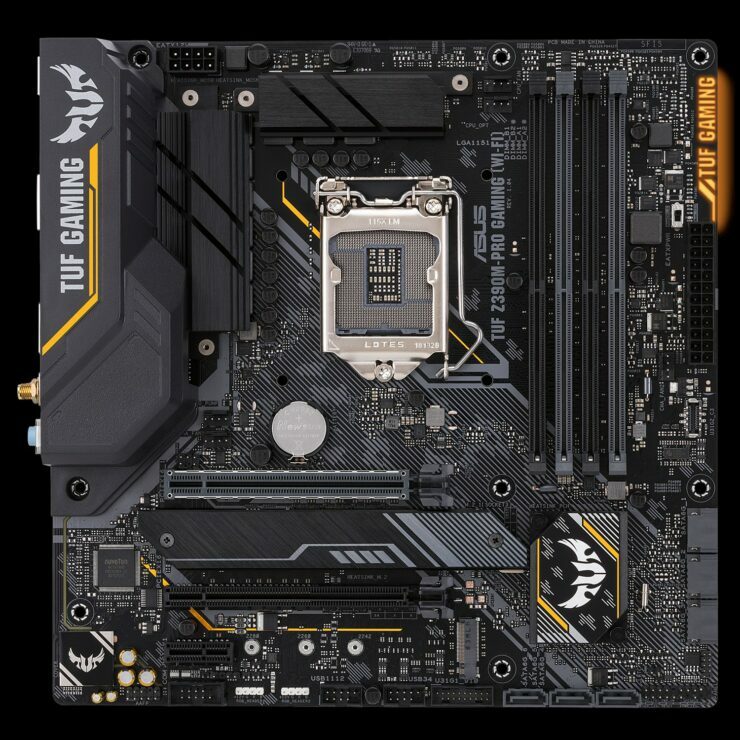 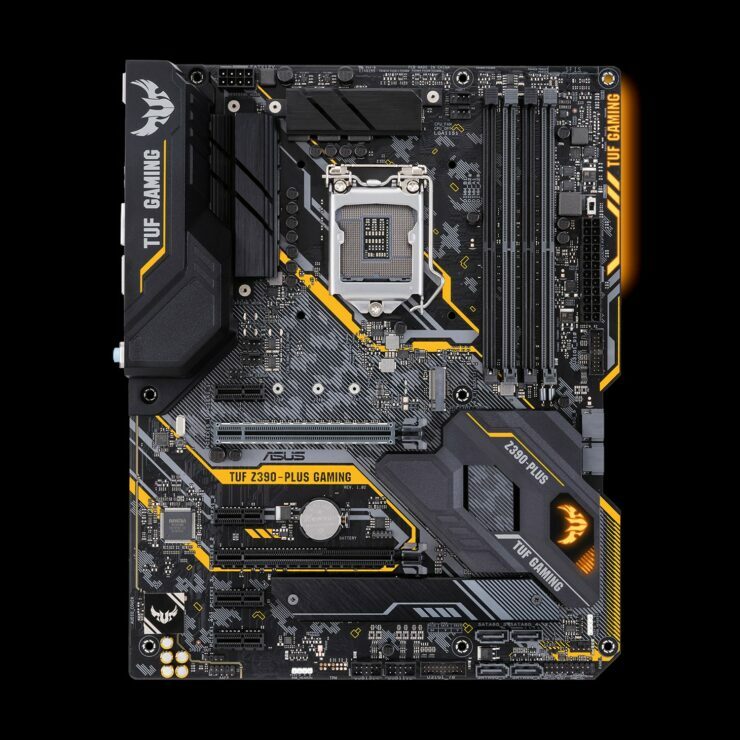 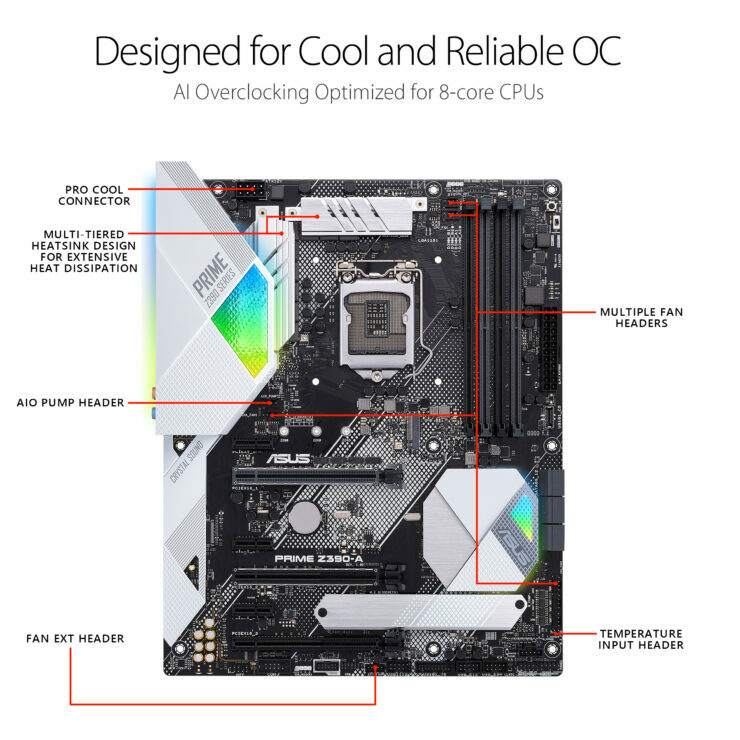 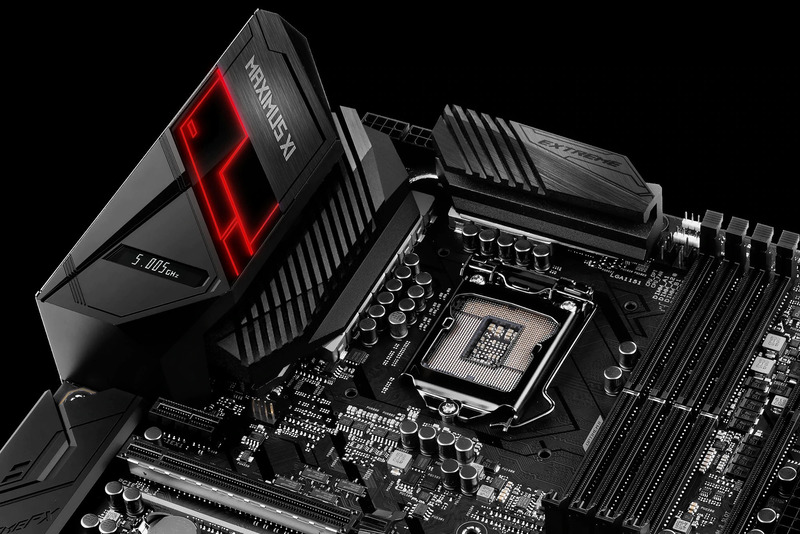 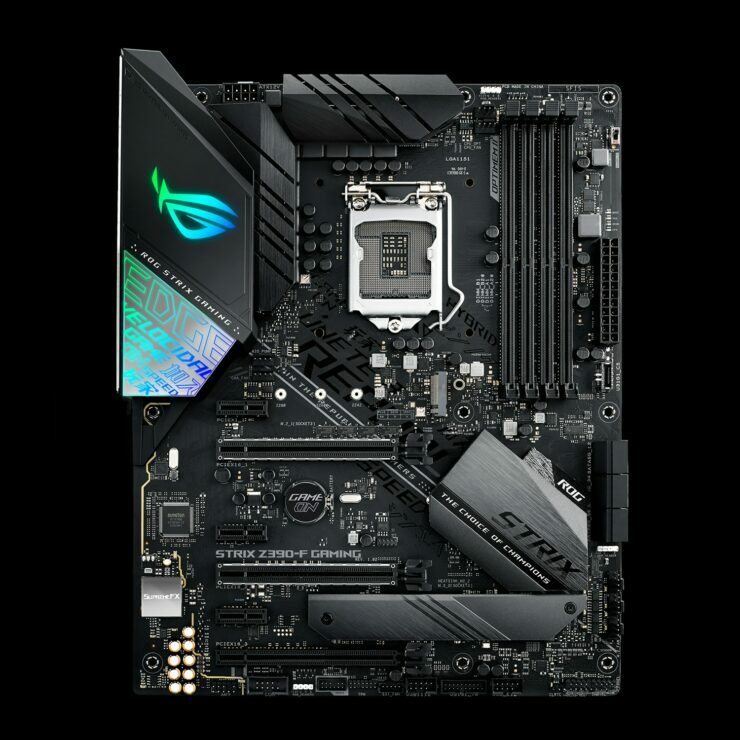 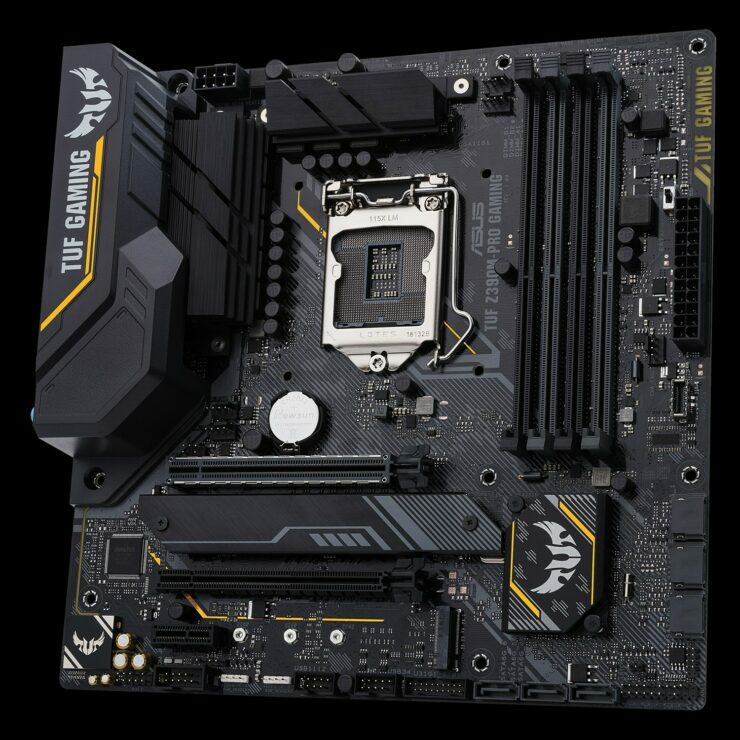 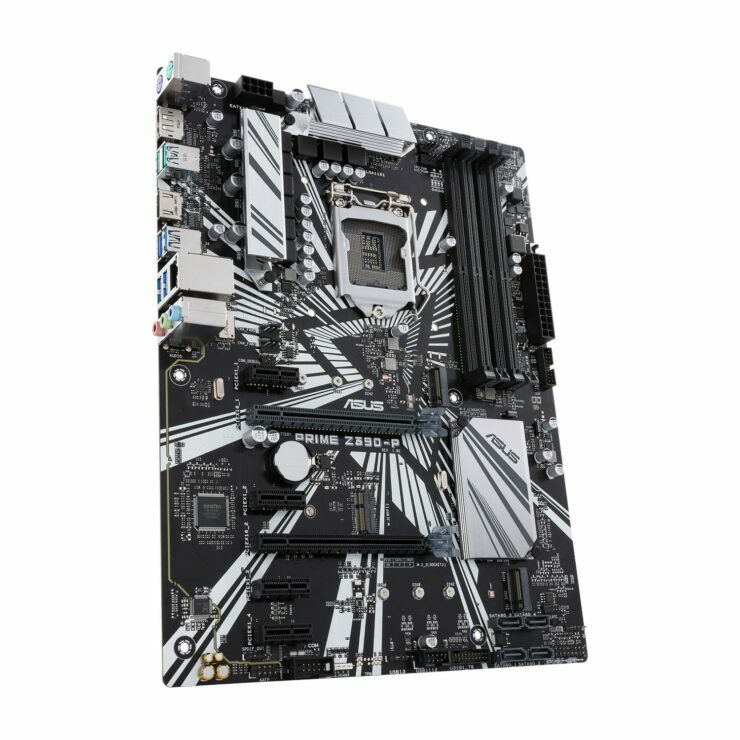 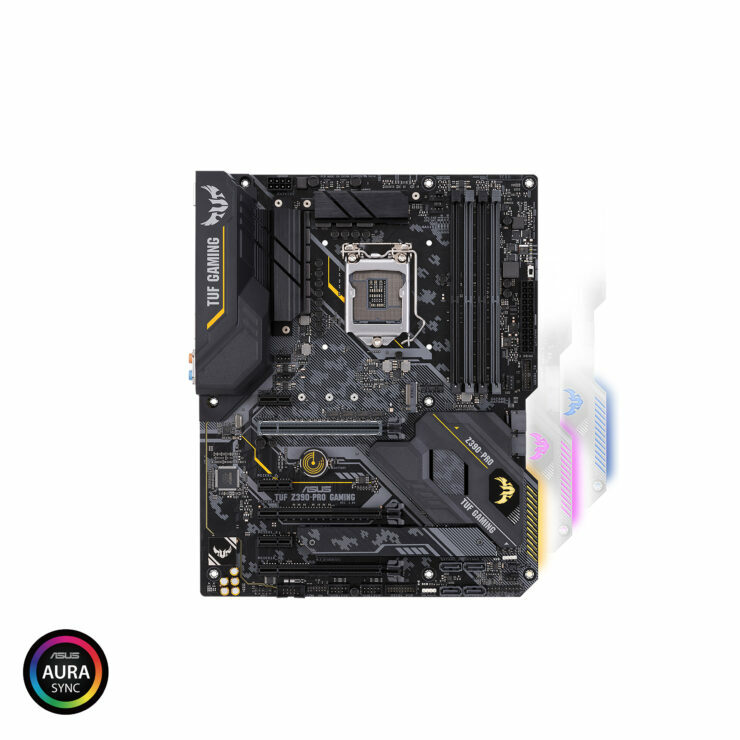 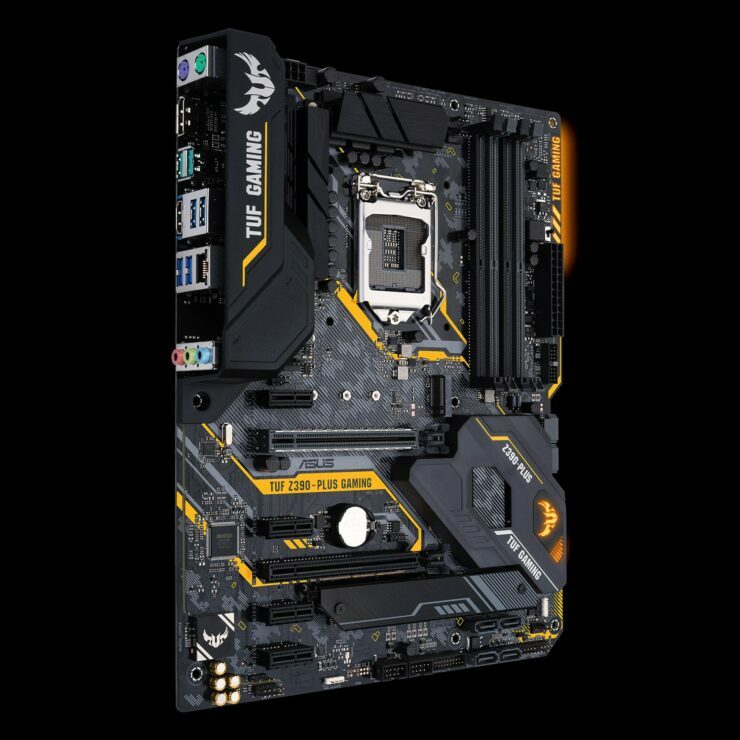 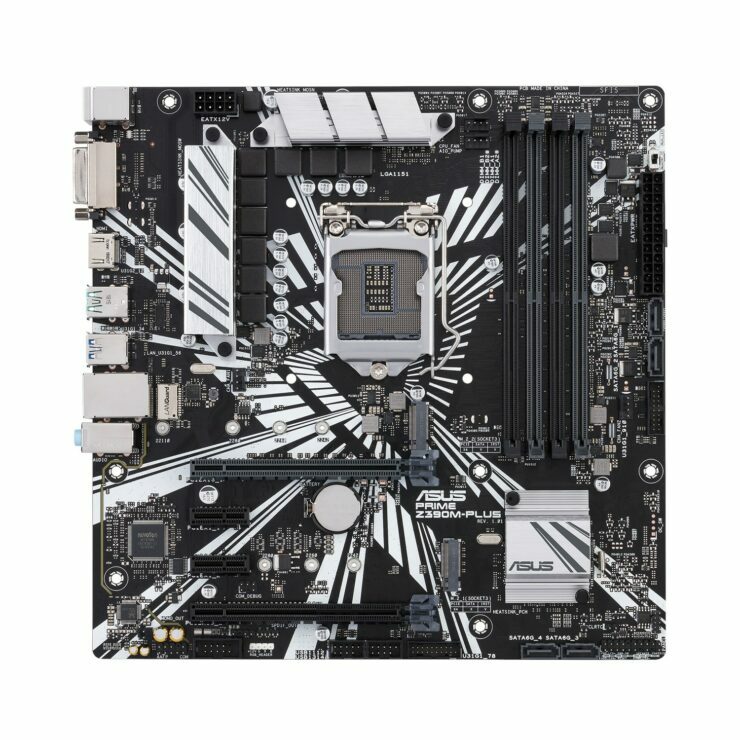 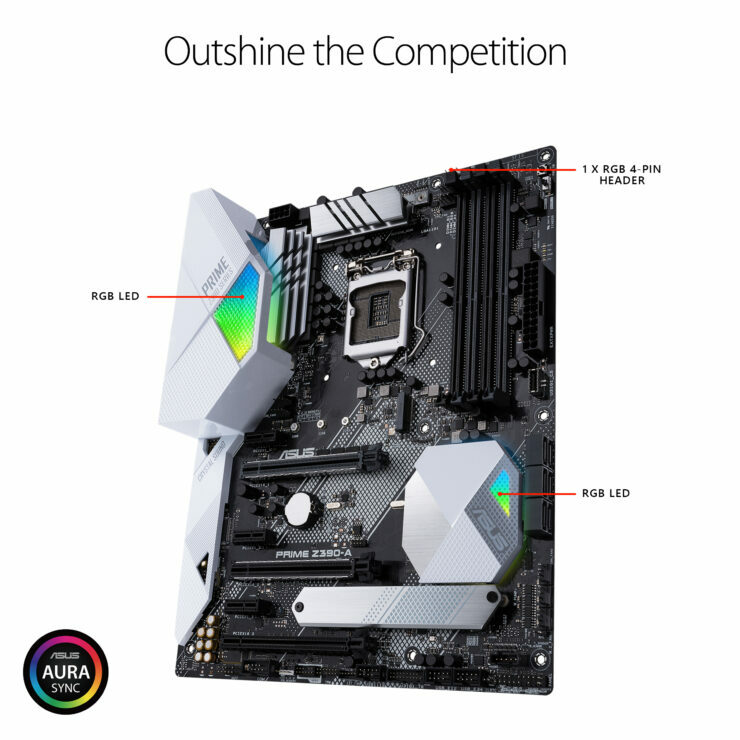 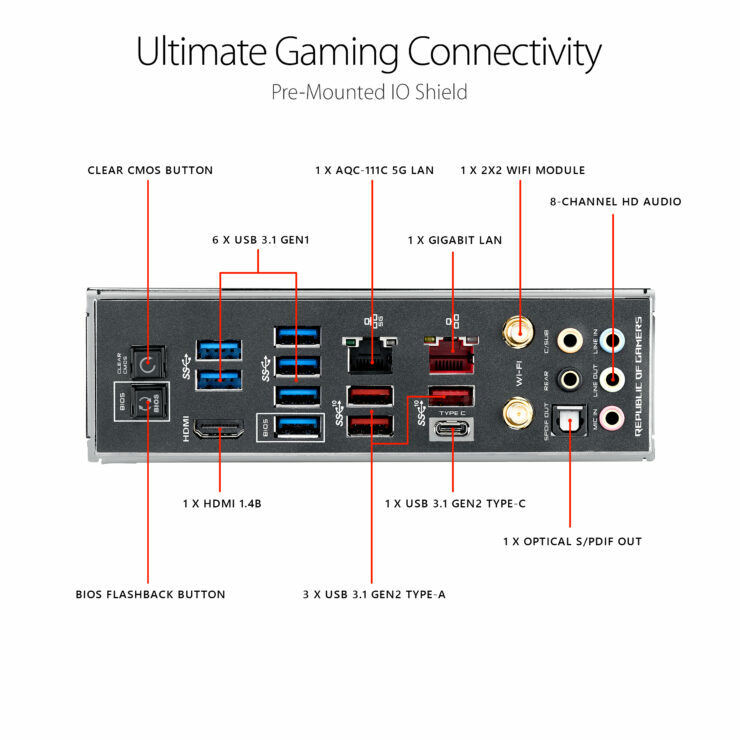 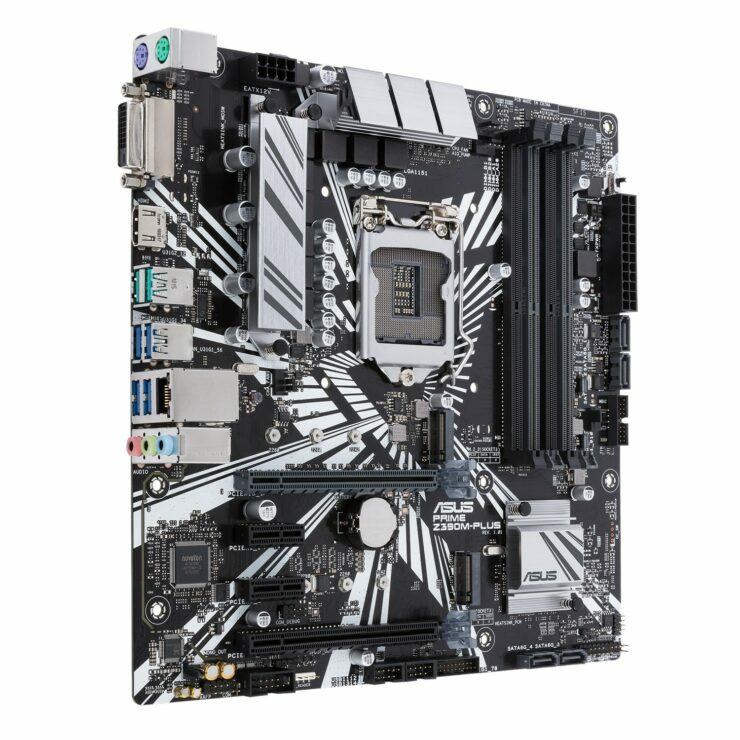 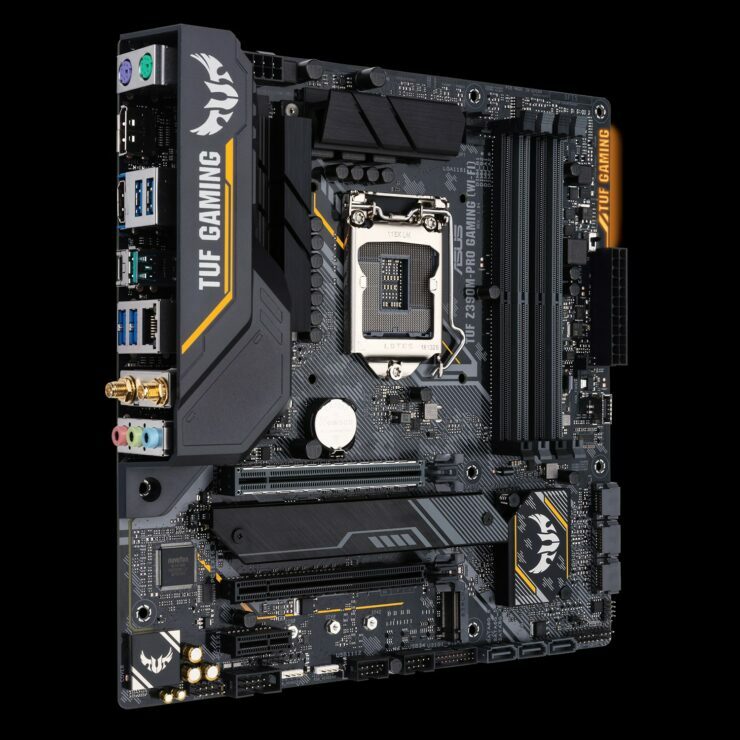 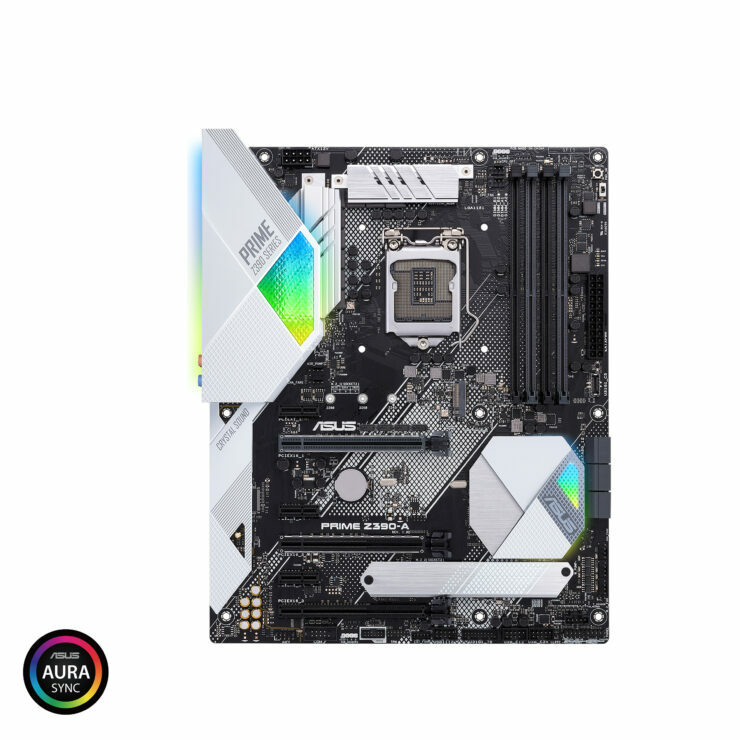 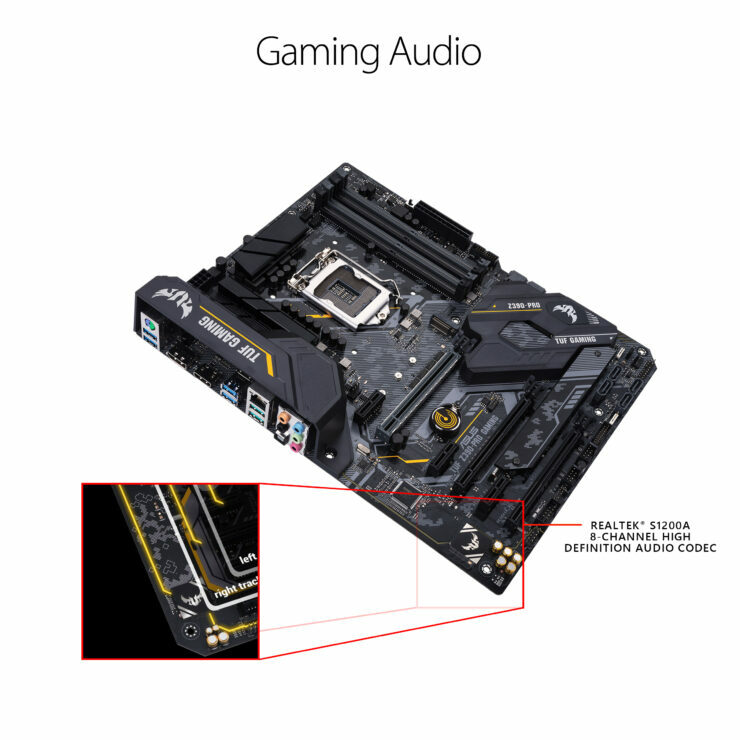 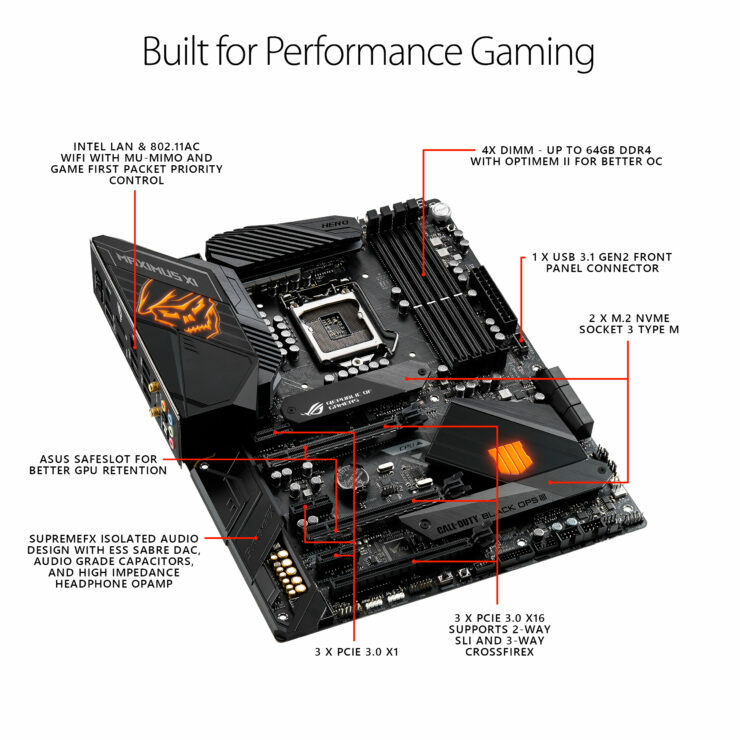 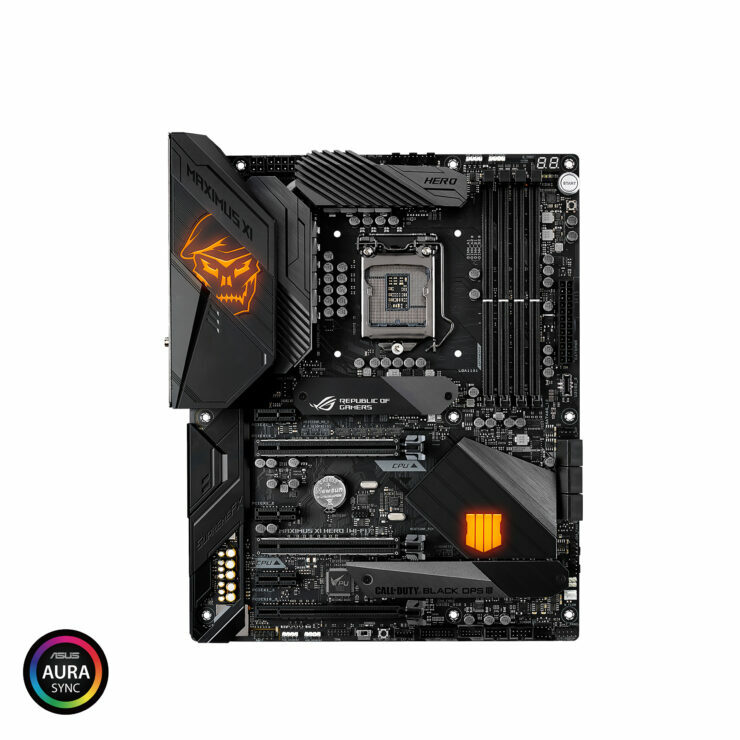 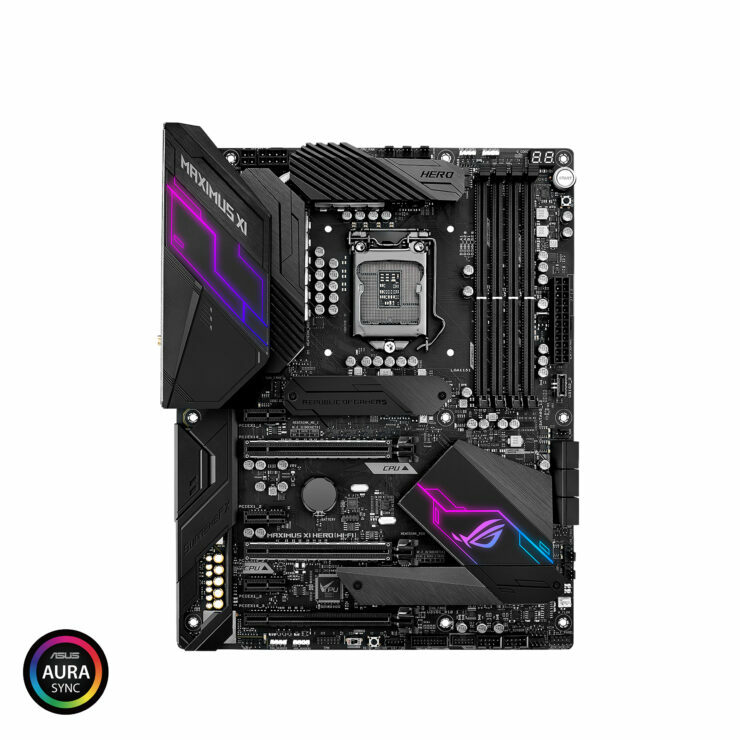 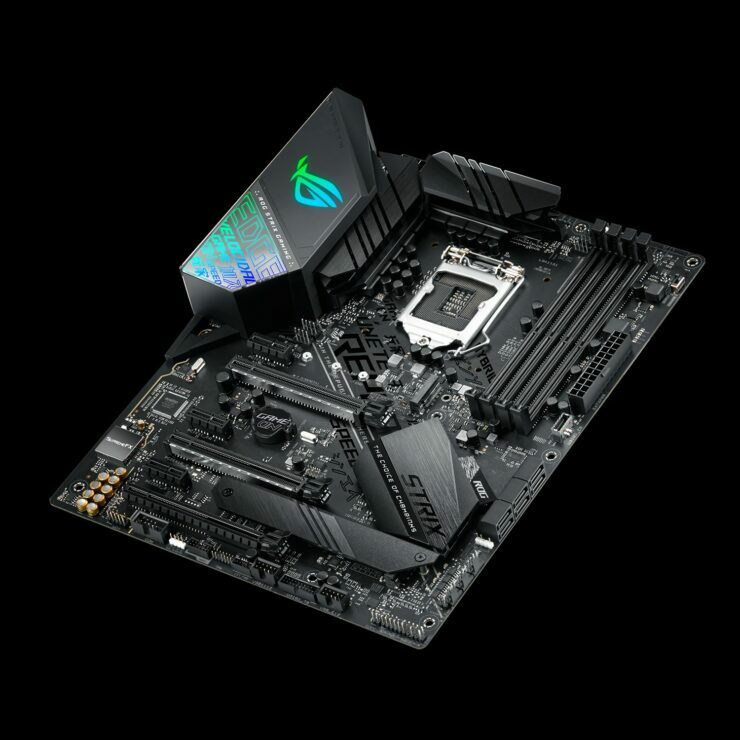 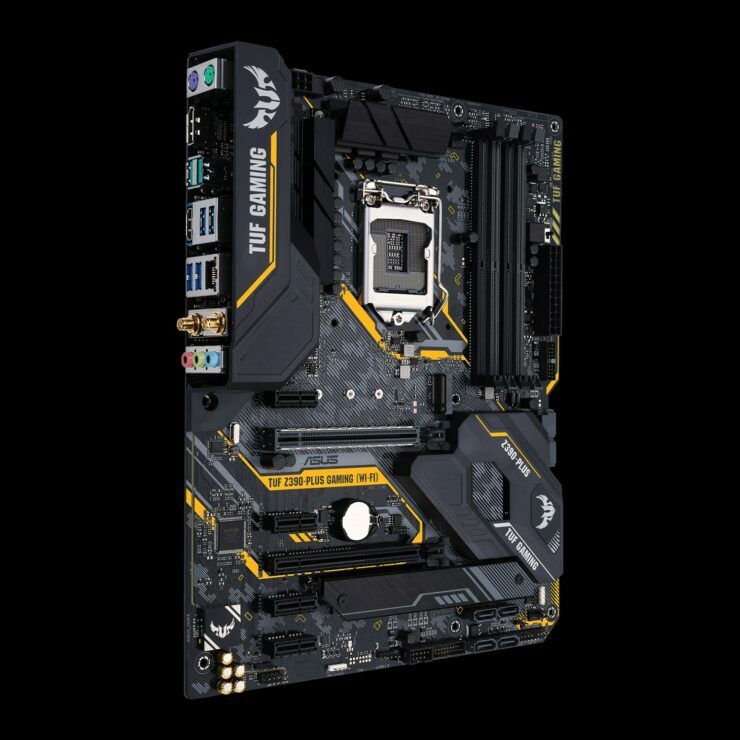 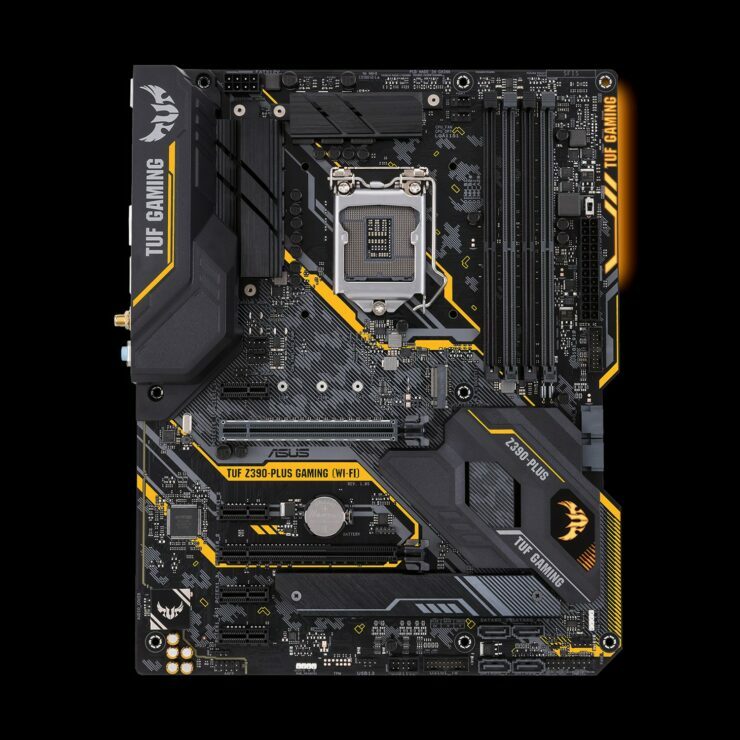 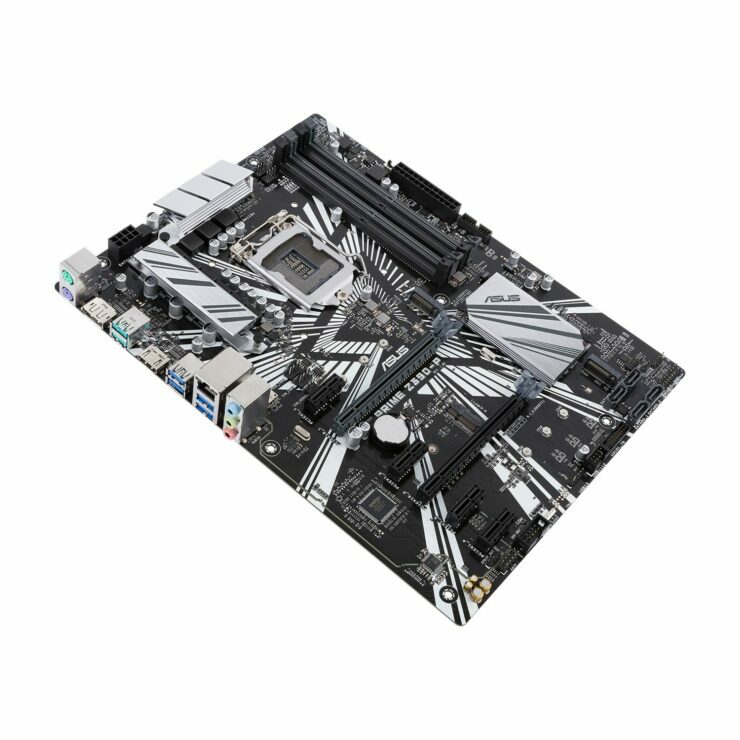 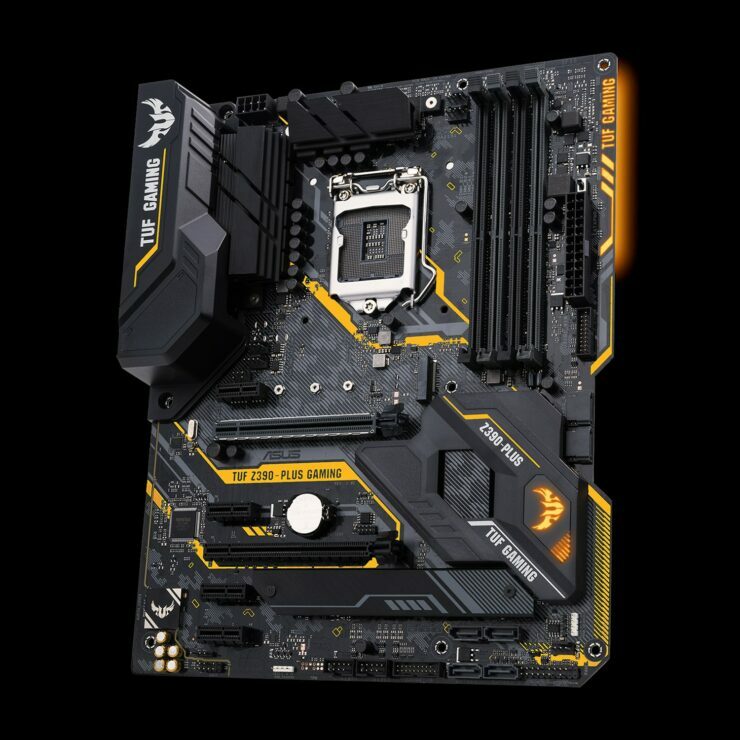 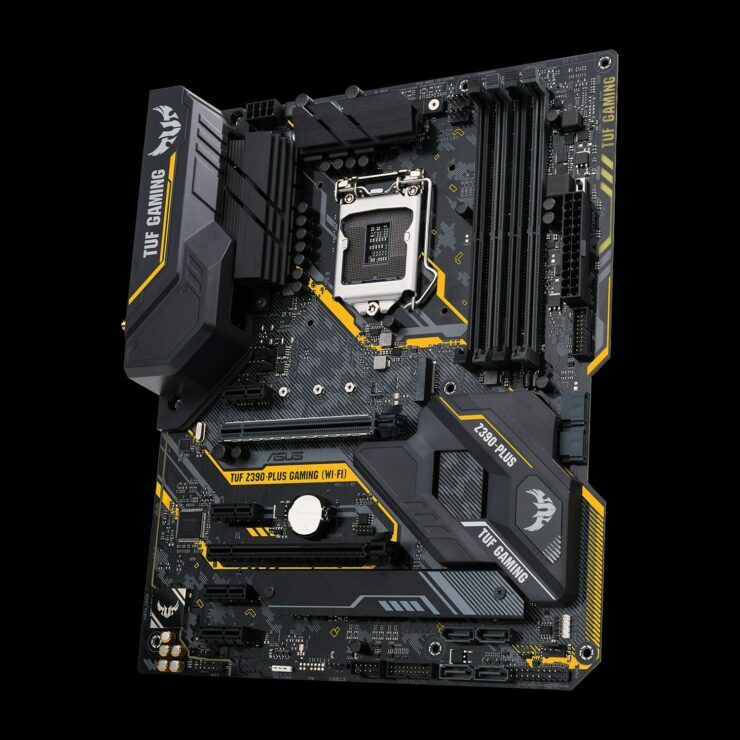 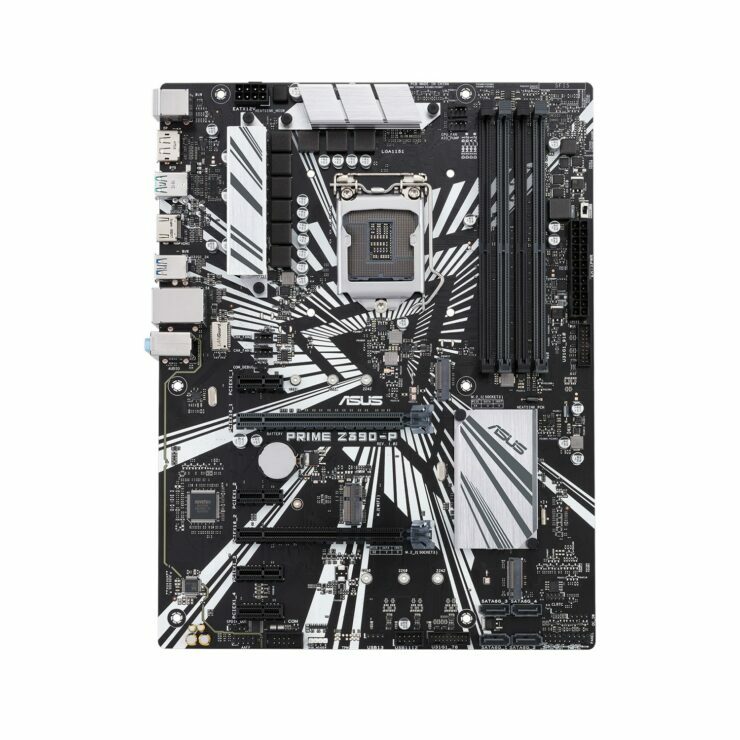 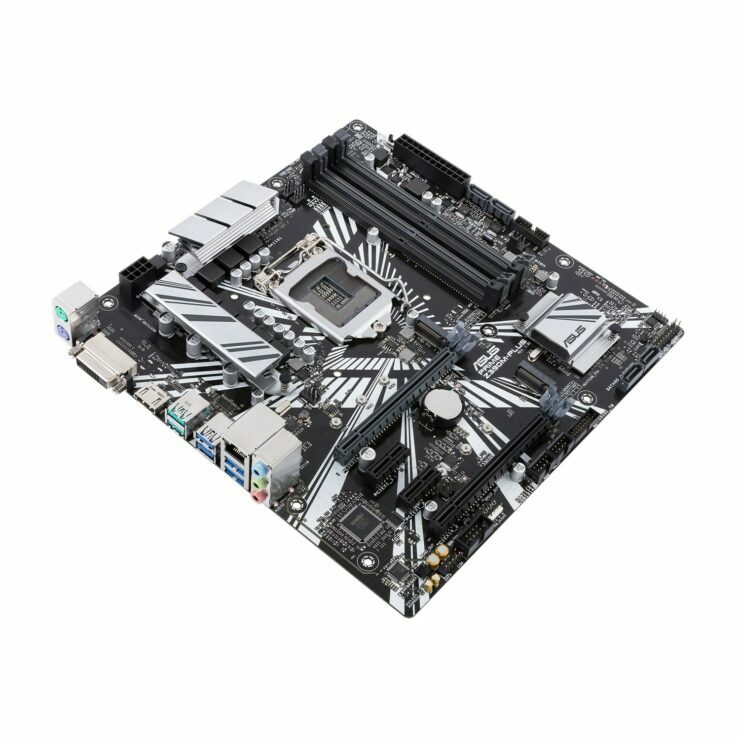 The motherboard has a very high-end VRM design which is powered by dual 8 pin connectors and cooled by two large aluminum blocks with heat pipe integration. 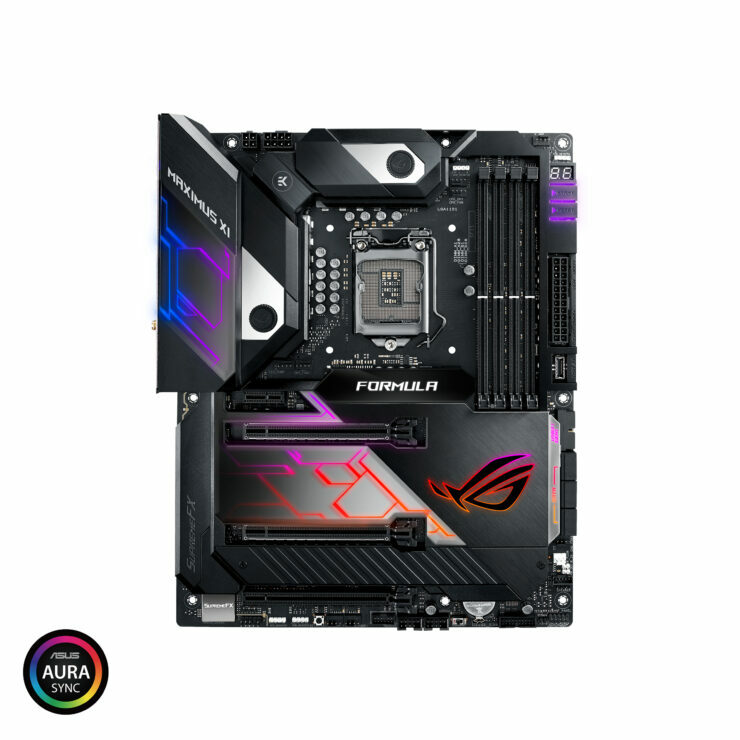 The ROG Maximus XI Extreme has a few design elements similar to the ROG Zenith Extreme, the X399 motherboard we all know and love. 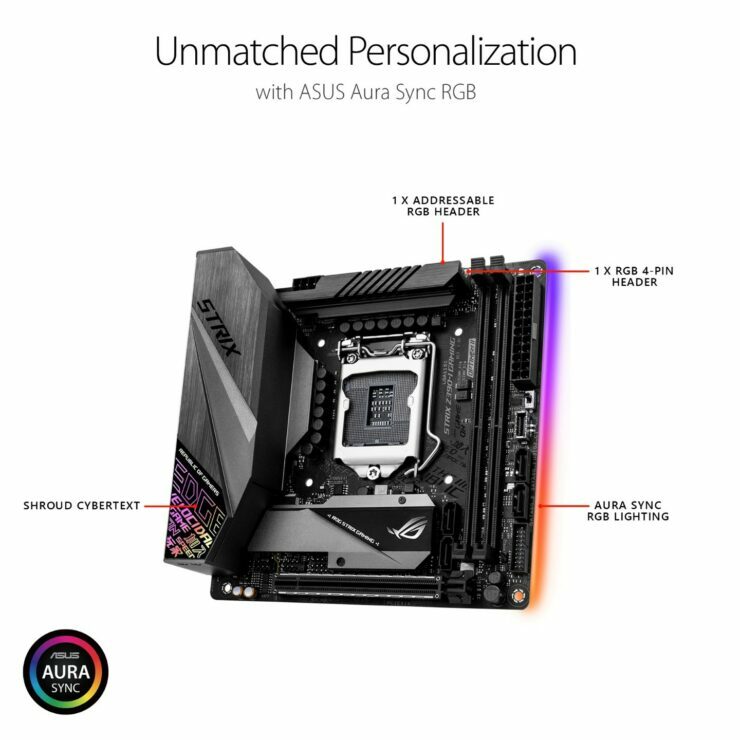 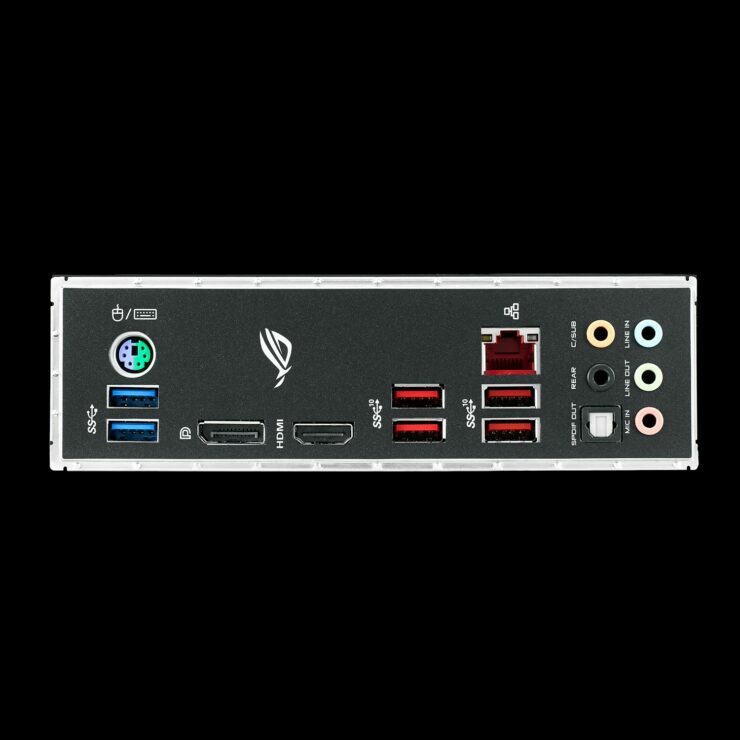 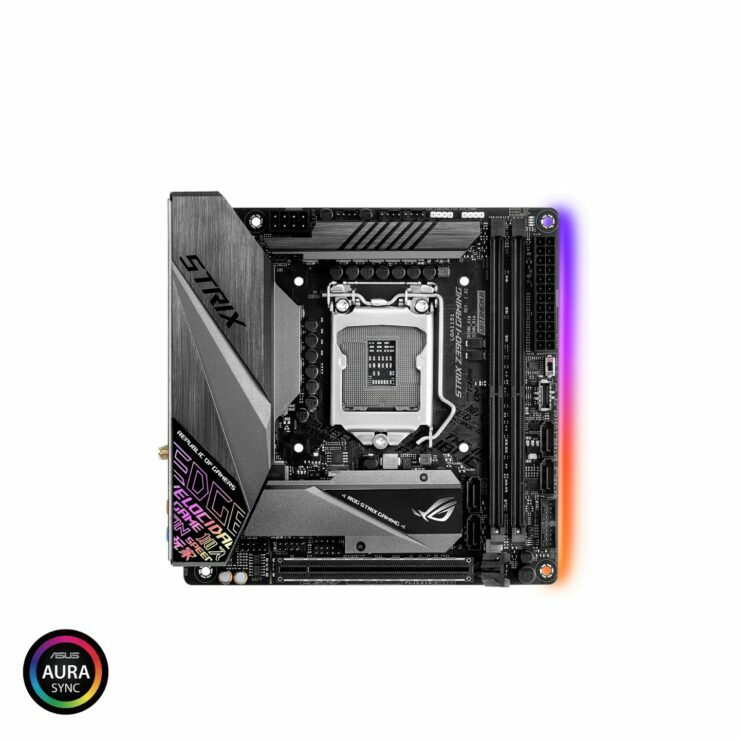 From the design scheme, we can see that ASUS has gone with an all-black aesthetic and uses RGB LEDs on the PCH, I/O cover and the back of the PCB for a smooth lighting effect. 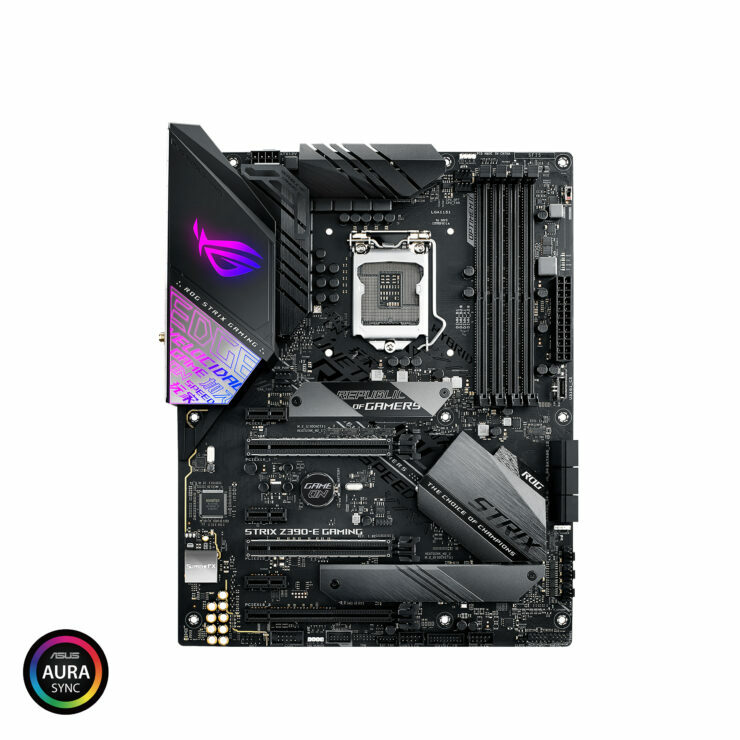 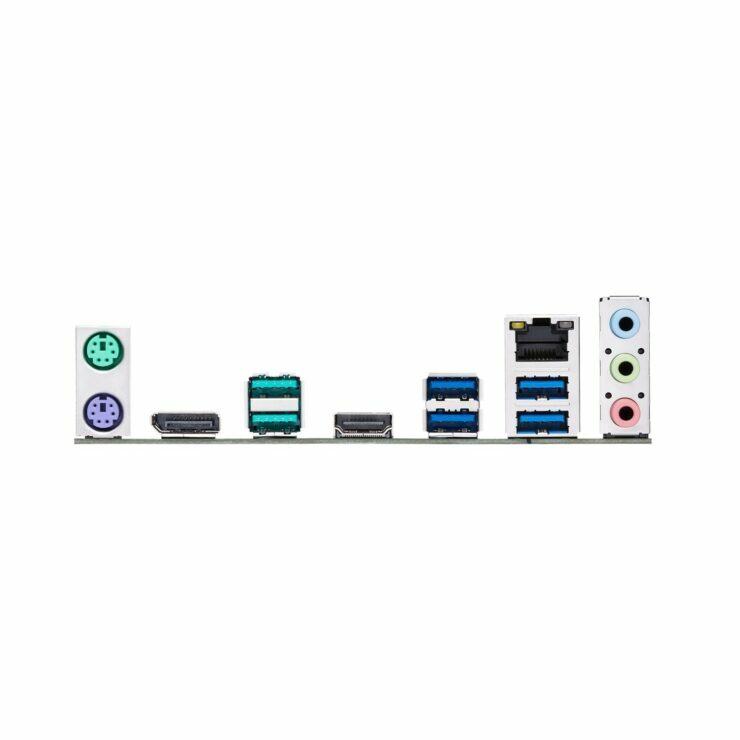 The motherboard comes with four DDR4 DIMM slots and also a DIMM.2 riser board that allow for two additional M.2 devices to be connected in addition to the two M.2 slots that are directly available on the board itself. 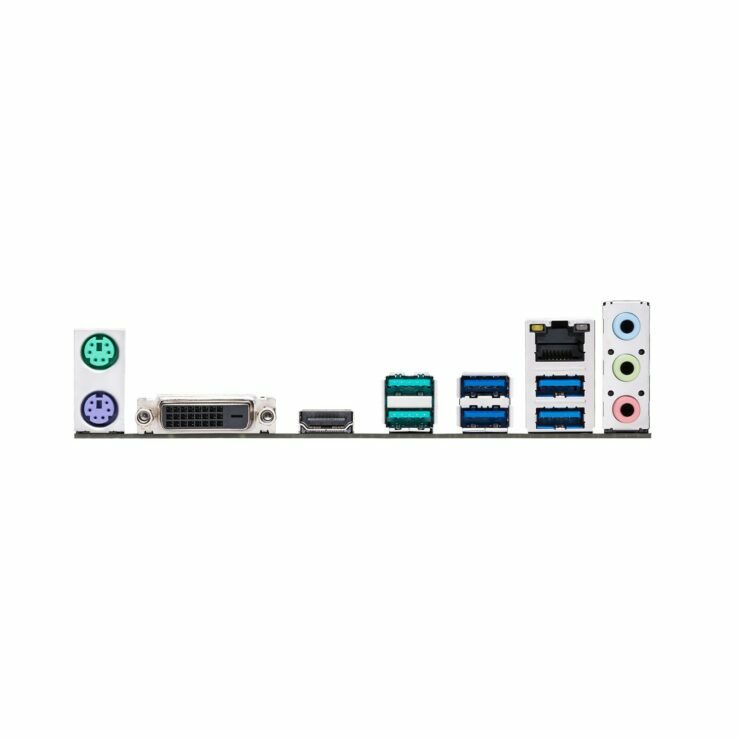 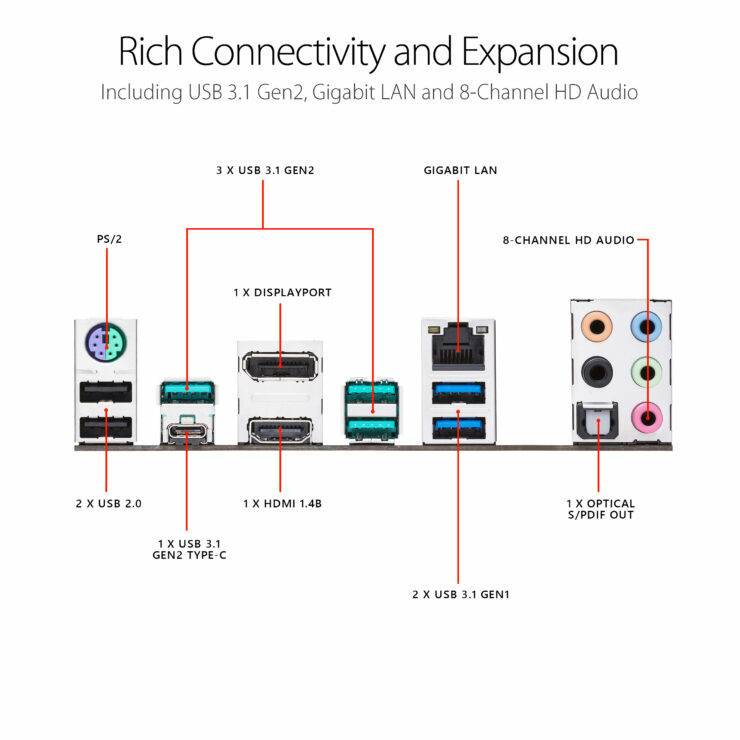 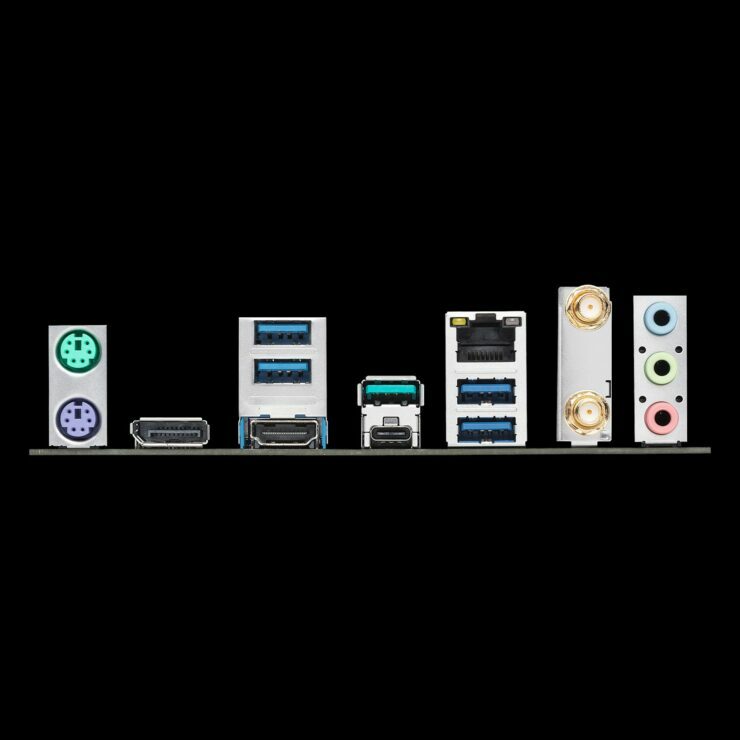 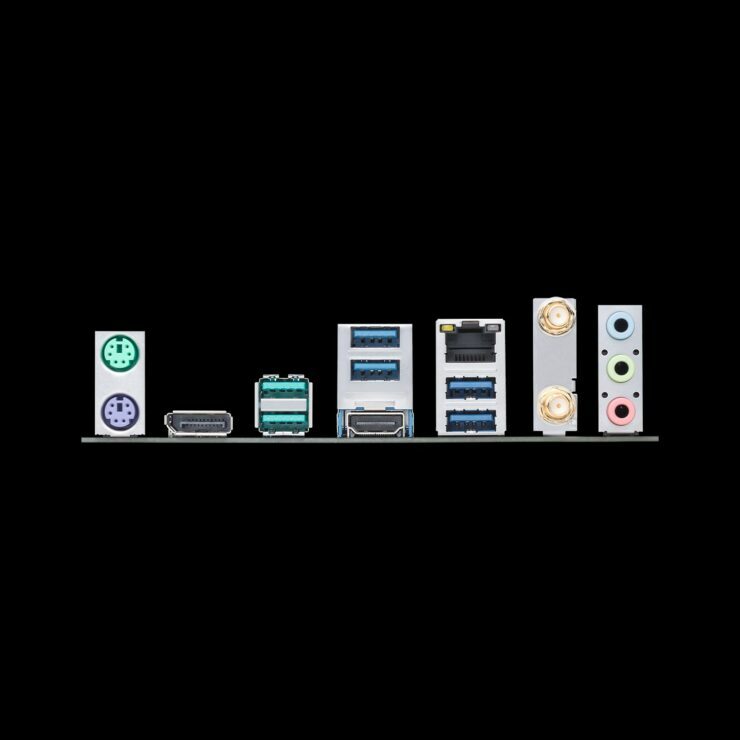 Expansion options include three PCI-e 3.0 x16 slots (x16, x8, x4 electrical) while storage ports include 6 SATA III. 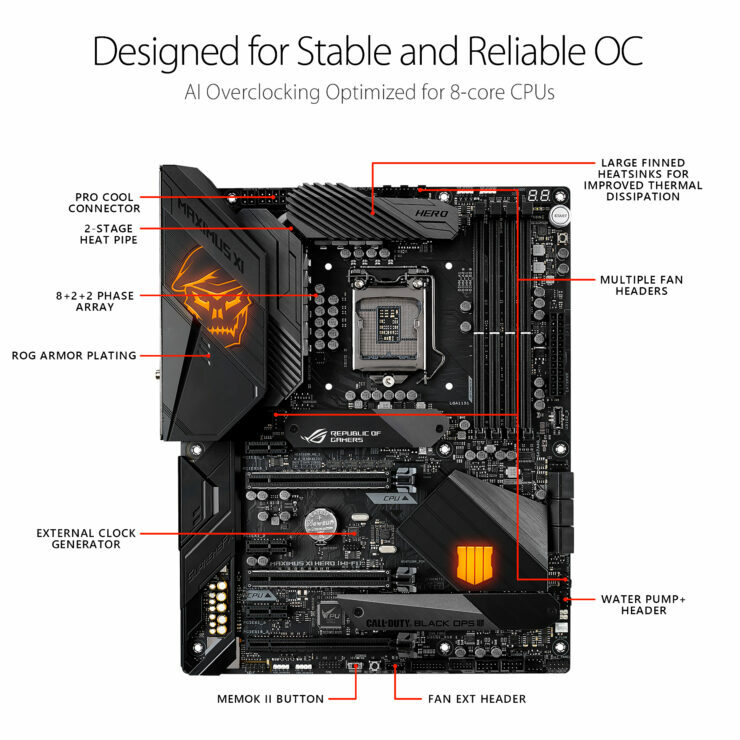 There are all the handy OC buttons arranged next to the 24-pin ATX connector which comes in handy while overclocking and tuning. 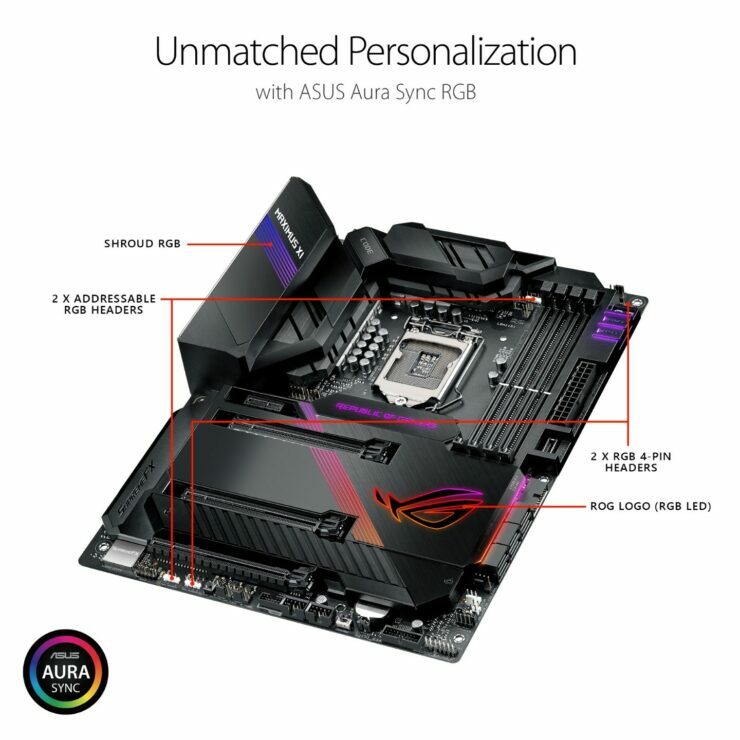 The motherboard does come with an OLED display on the I/O cover which is similar to recent ASUS high-end options. 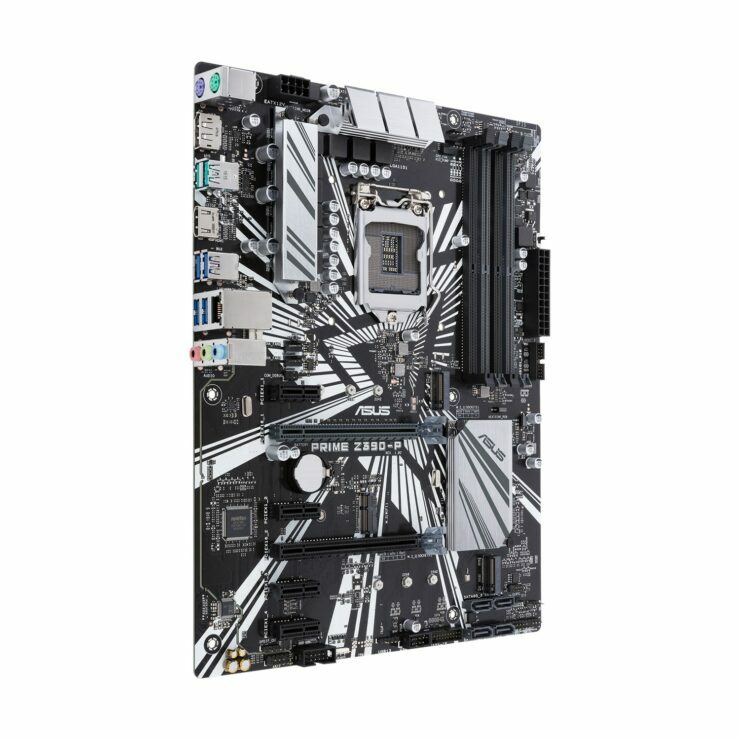 Coupled with the SupremeFX audio solution and great OC capabilities, we can see this motherboard becoming the best option for overclockers but would cost a lot. 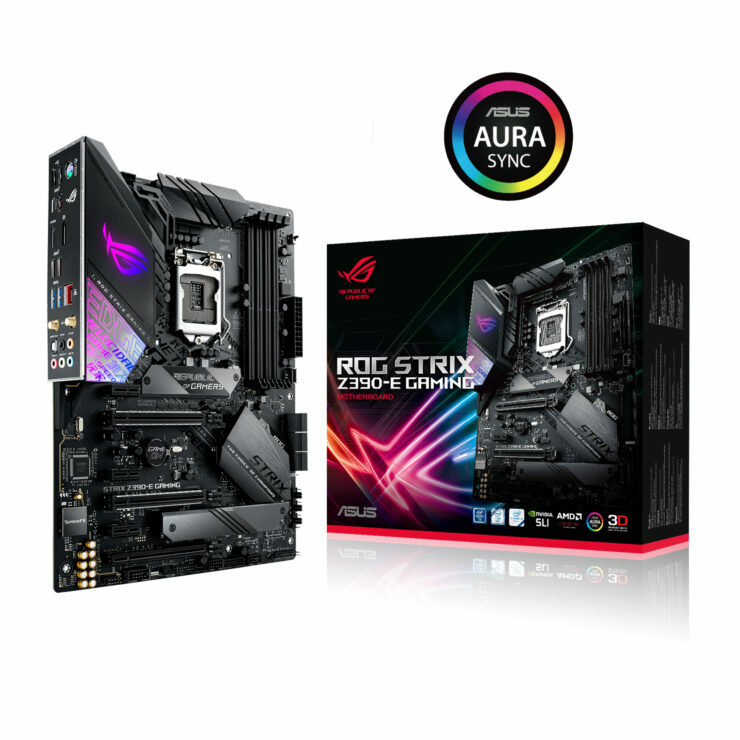 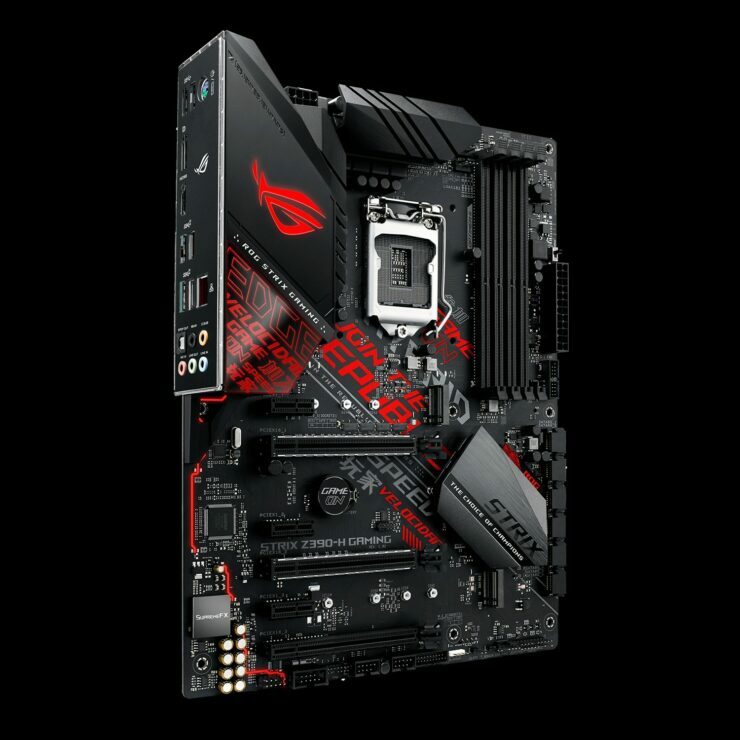 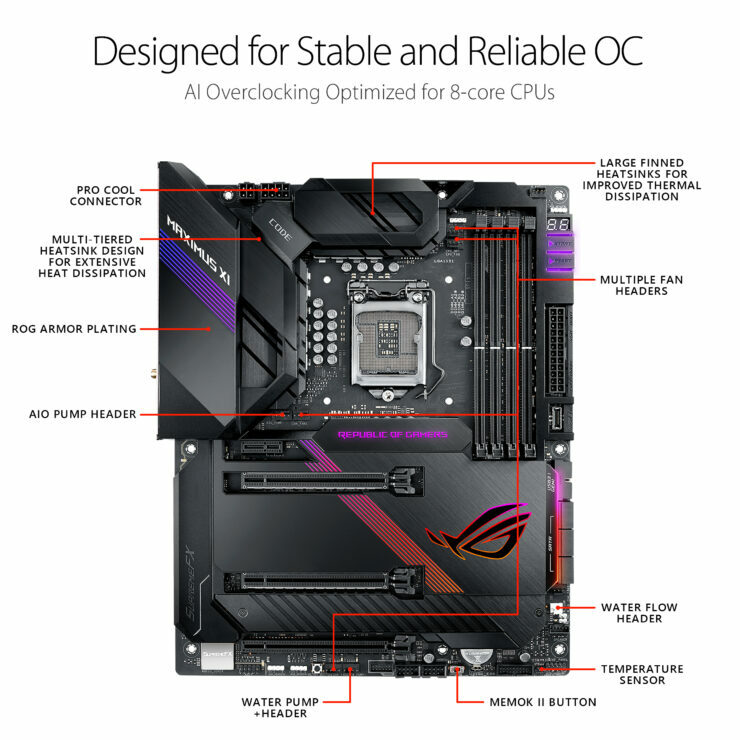 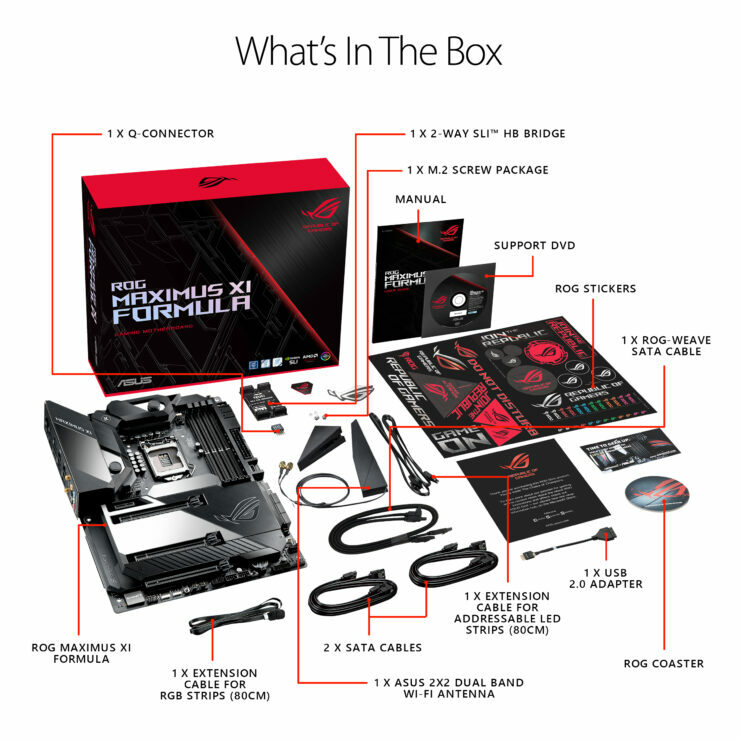 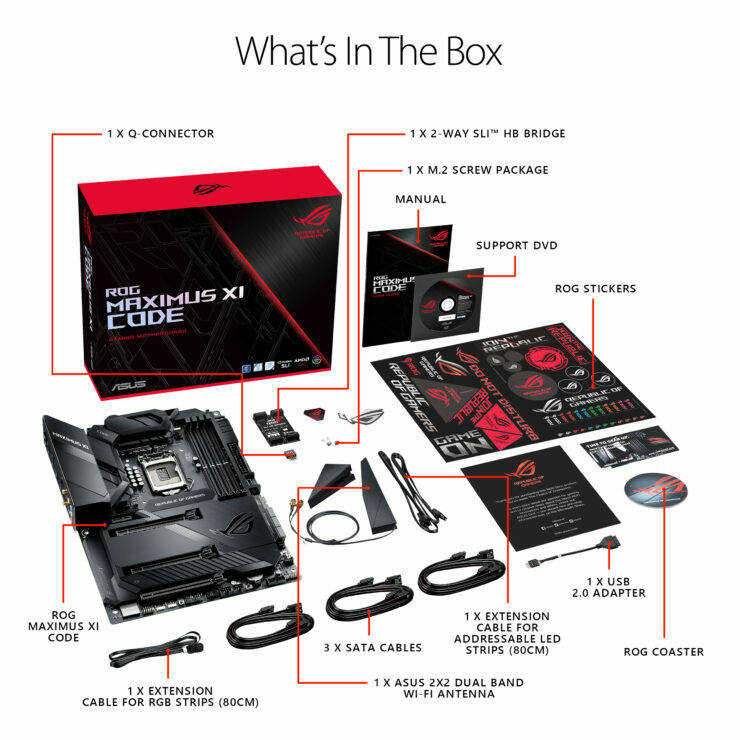 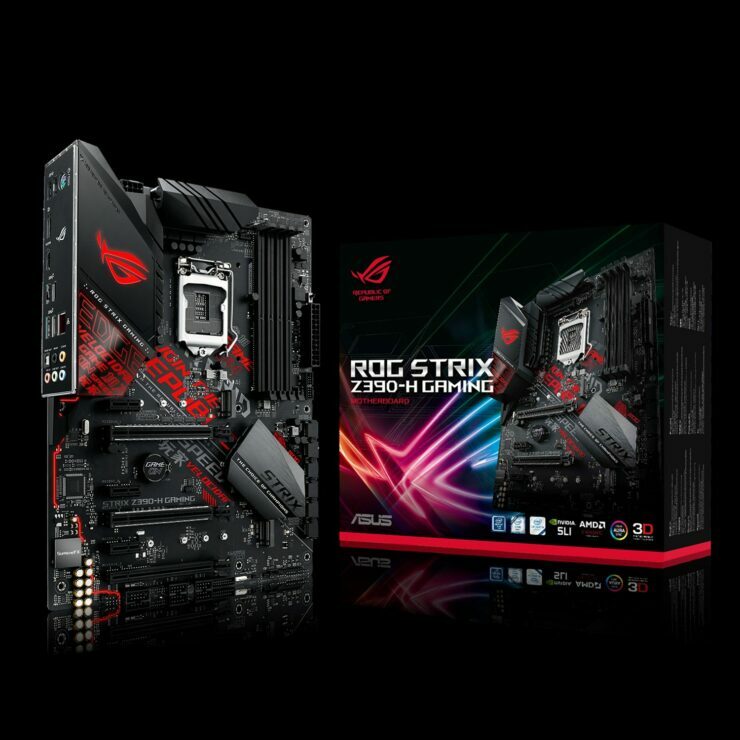 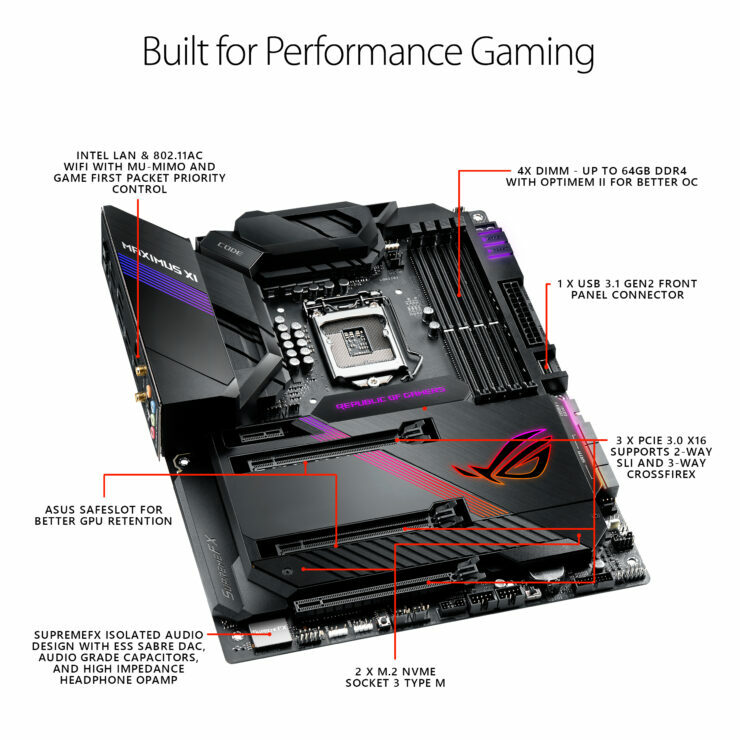 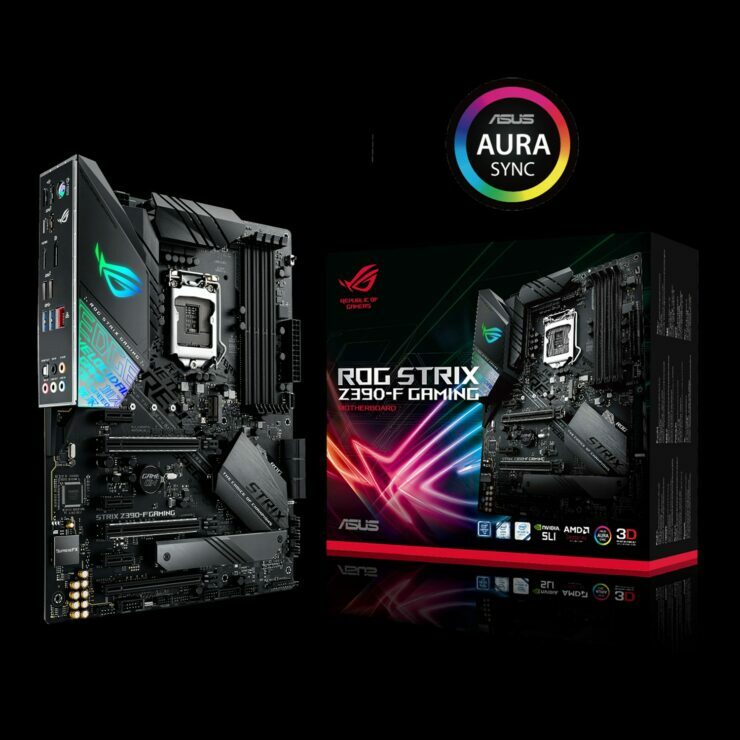 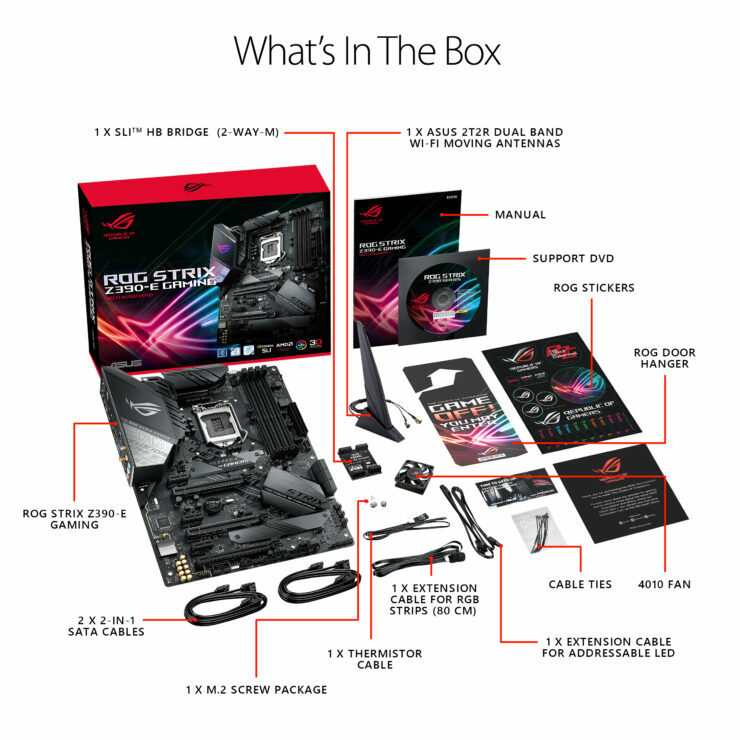 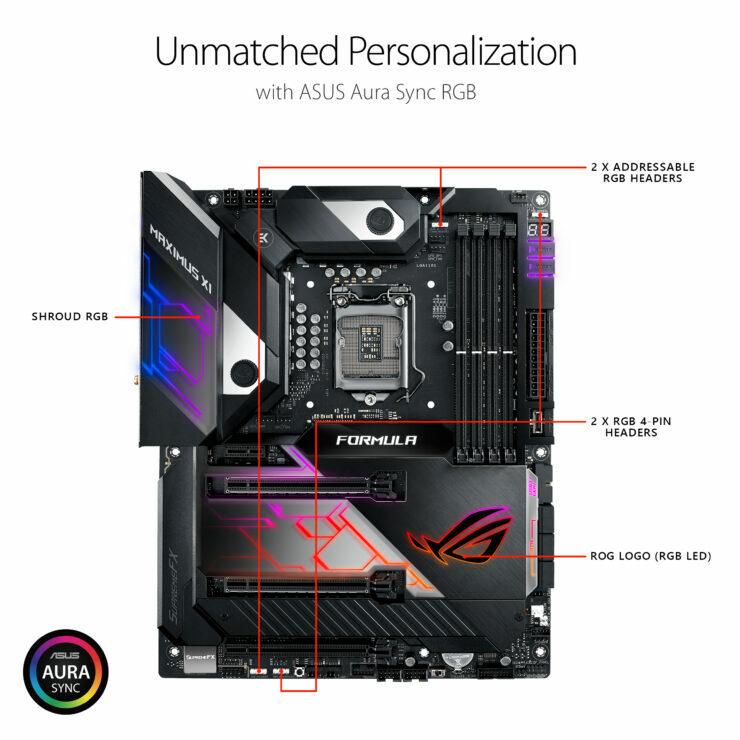 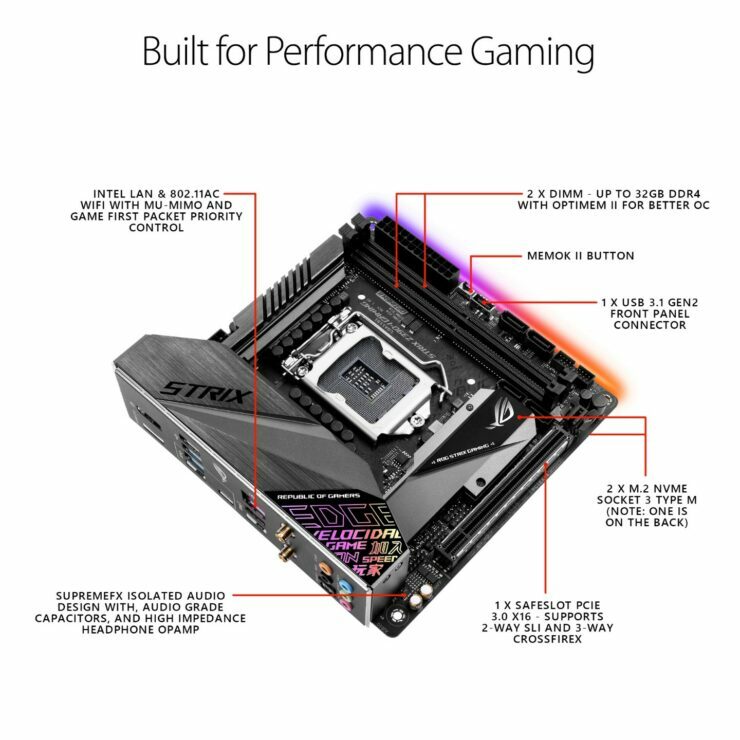 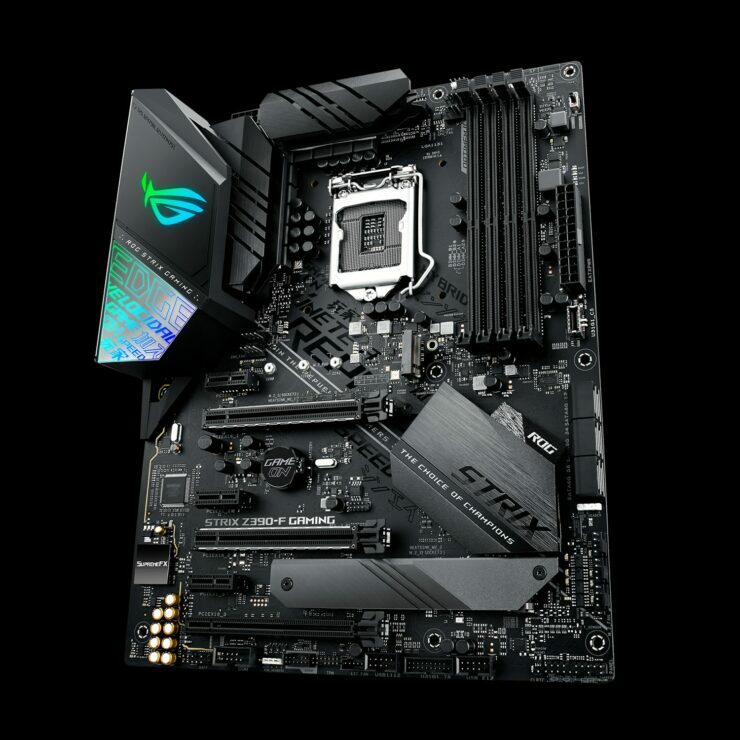 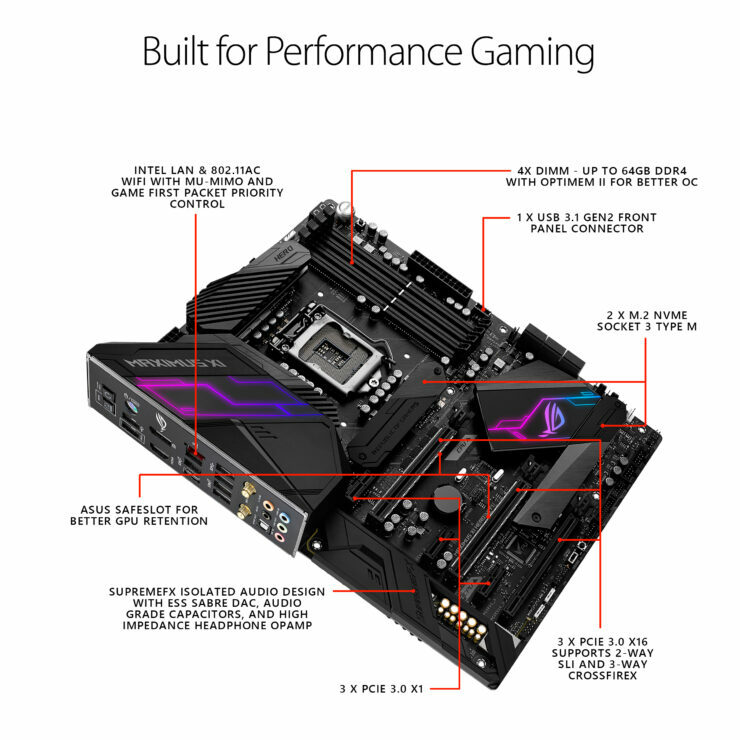 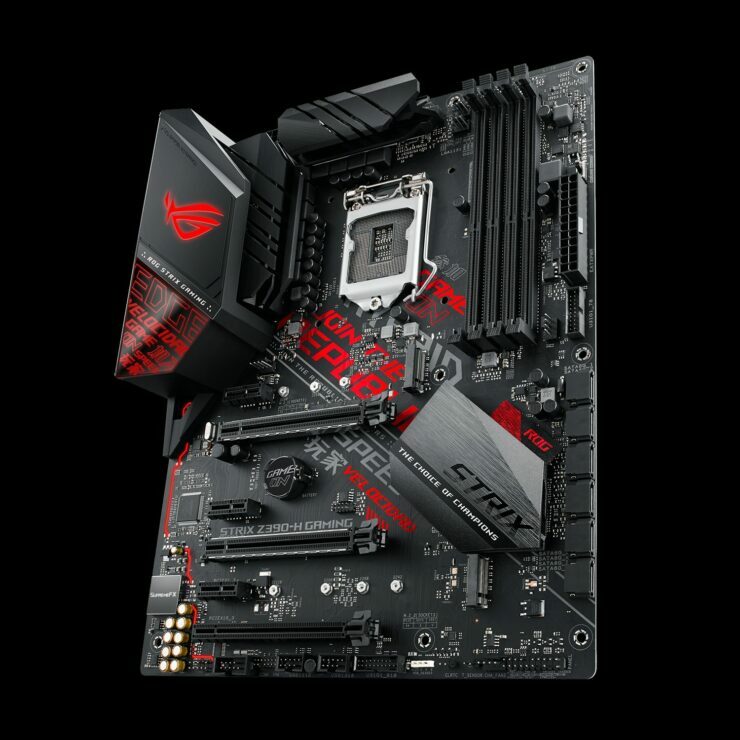 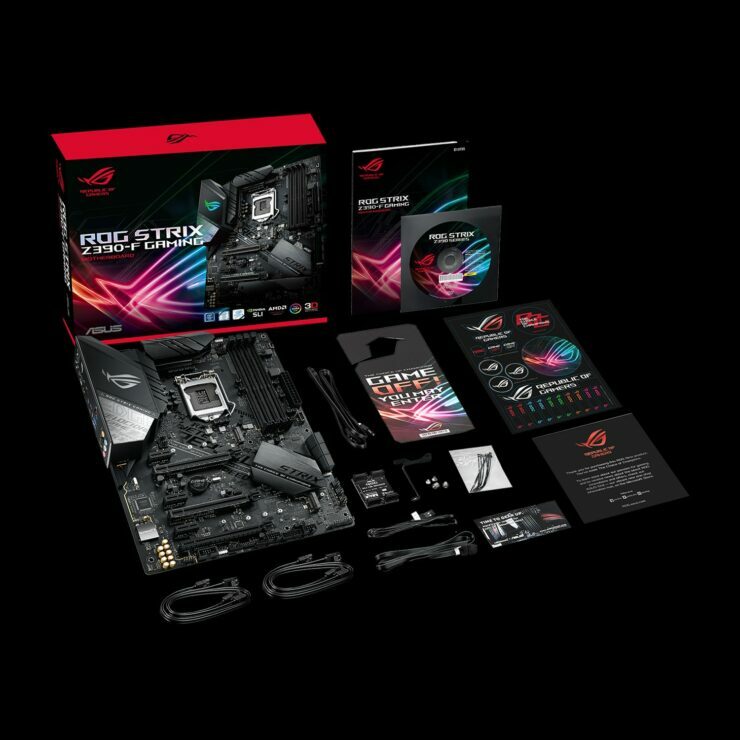 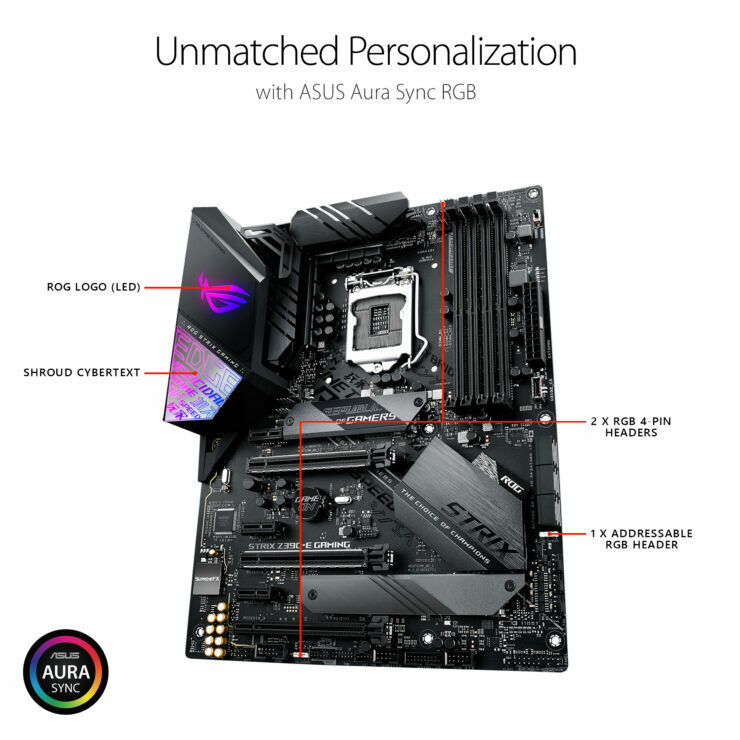 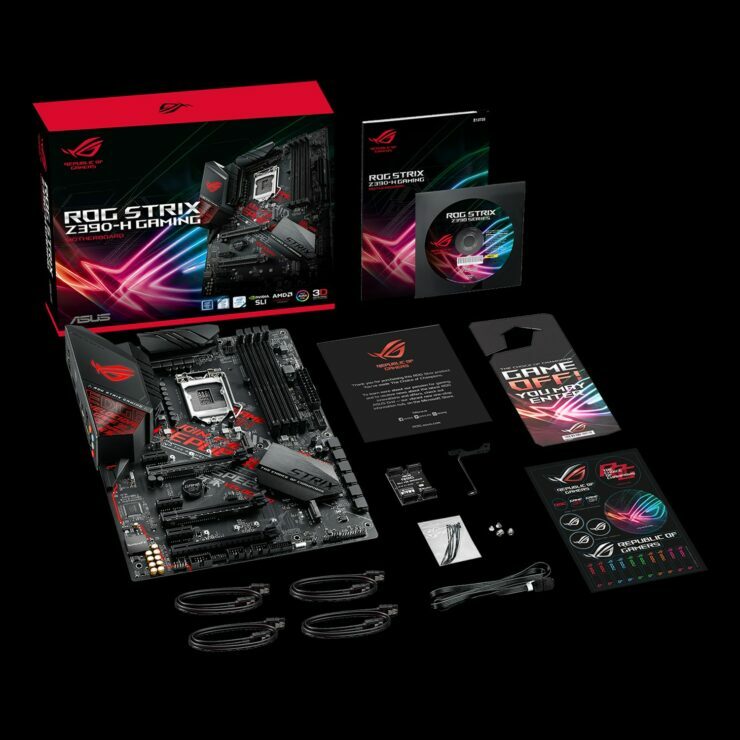 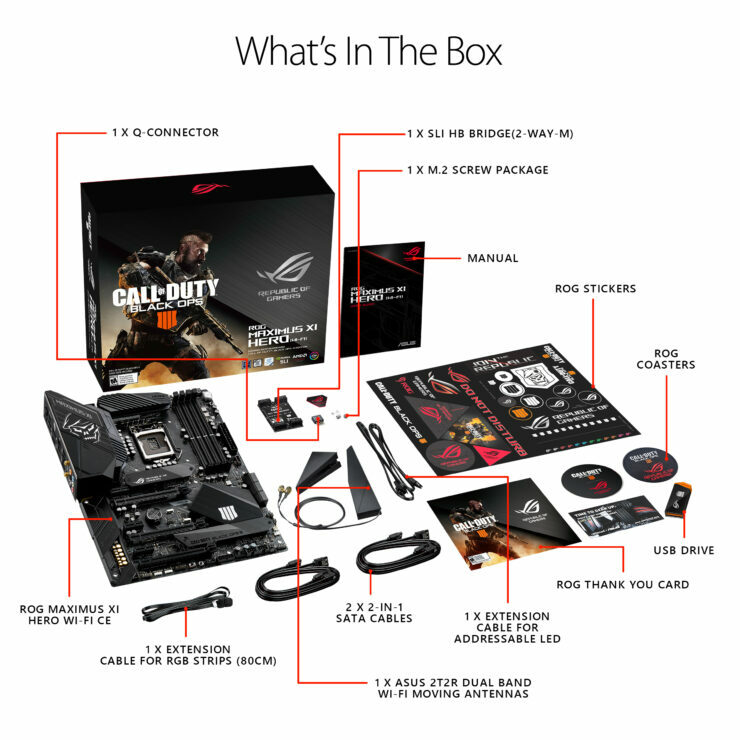 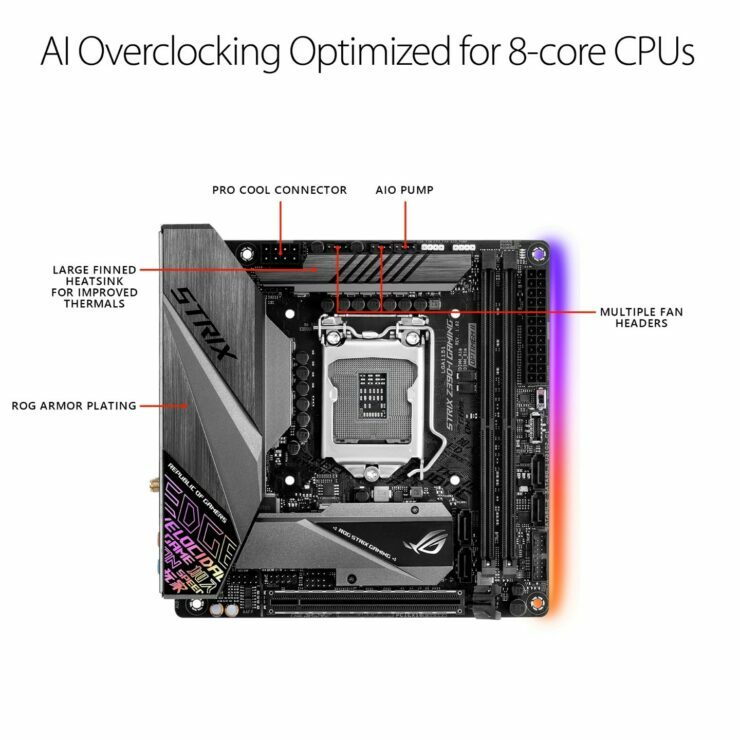 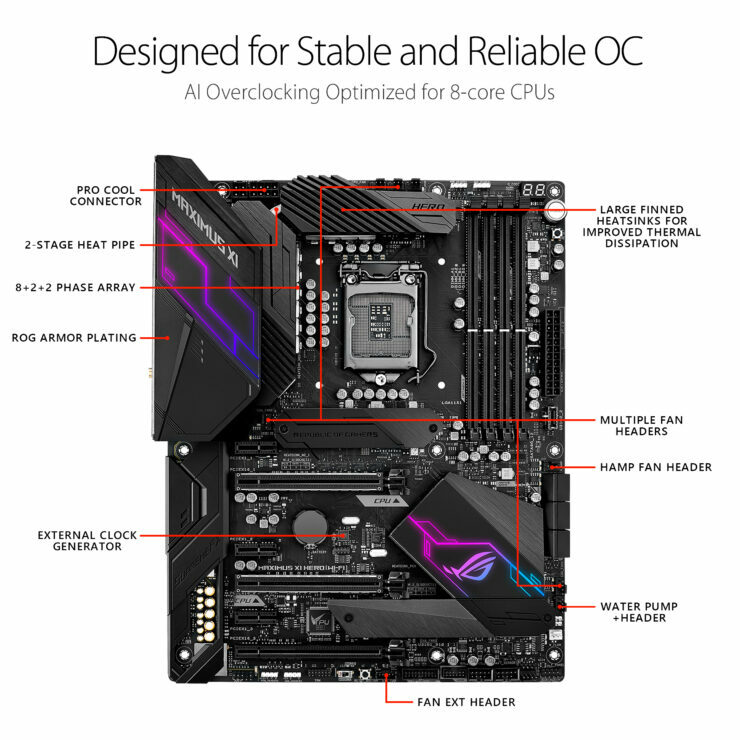 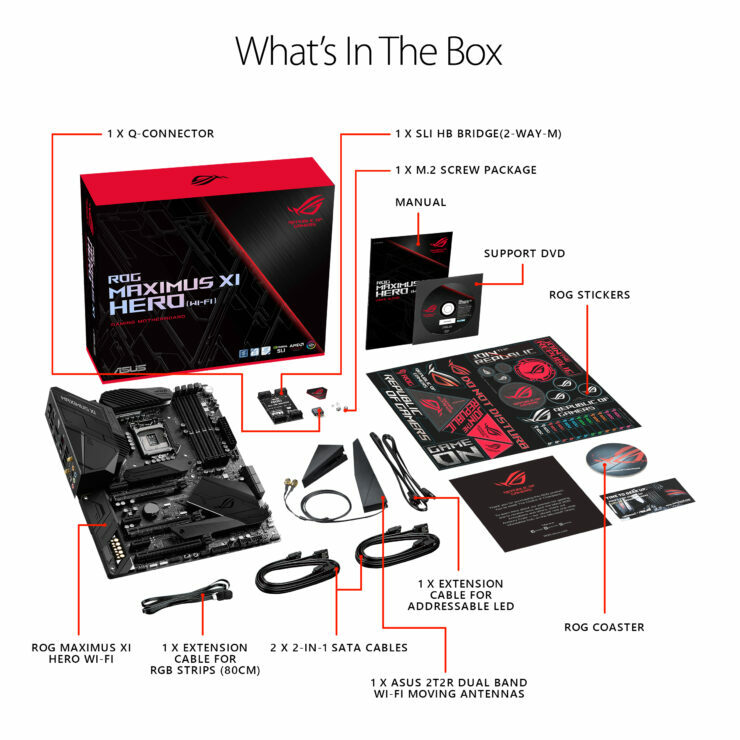 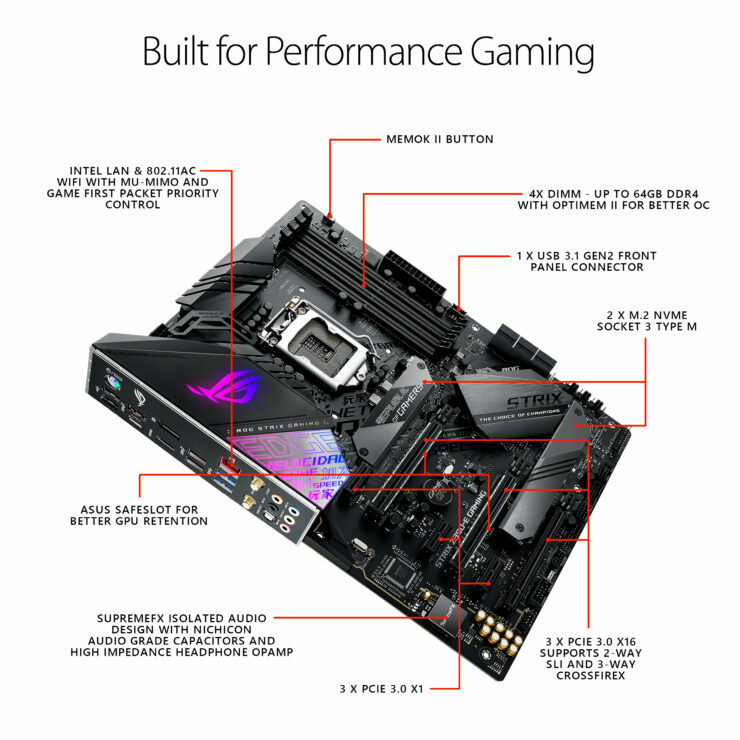 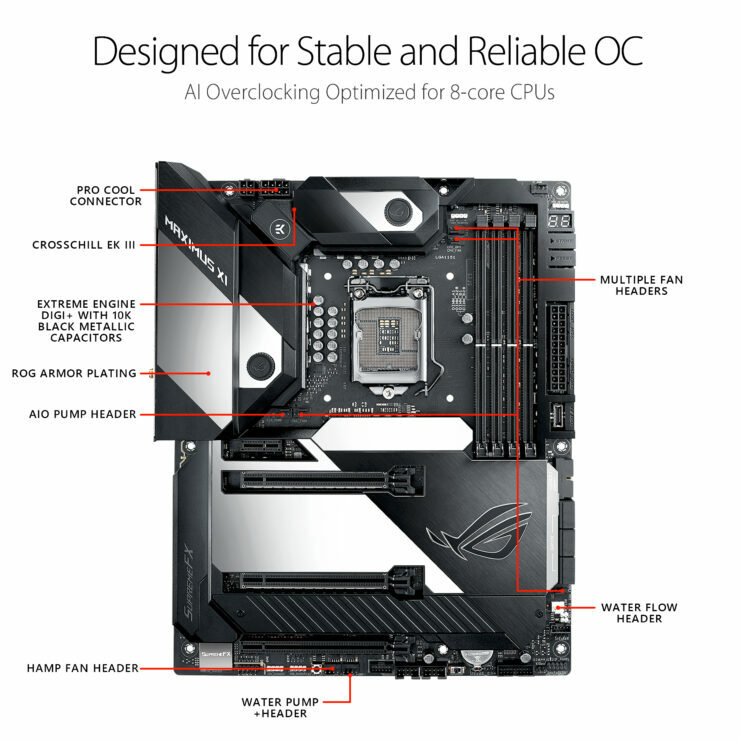 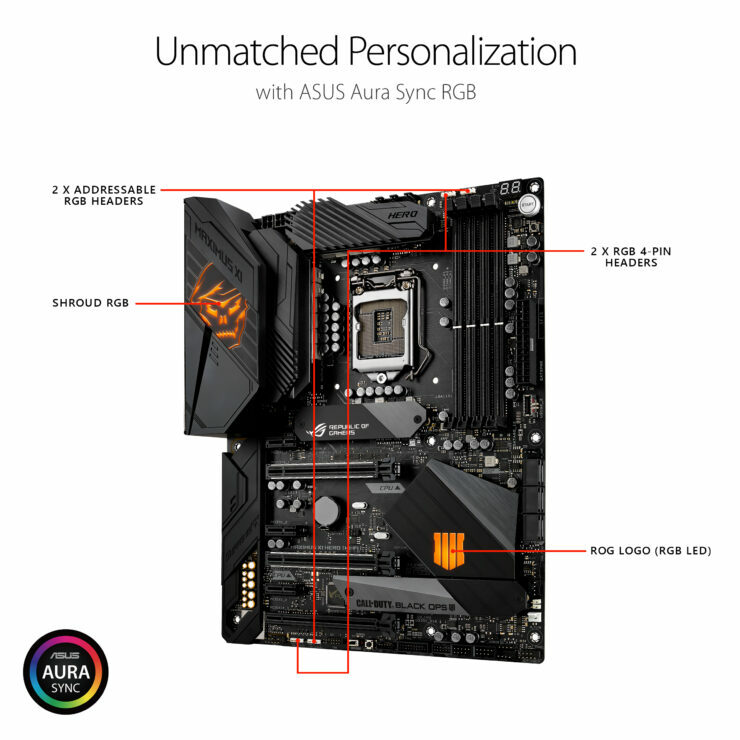 The ASUS ROG STRIX series comes in four motherboard options this time including the ITX one and you can see them along with their details below. 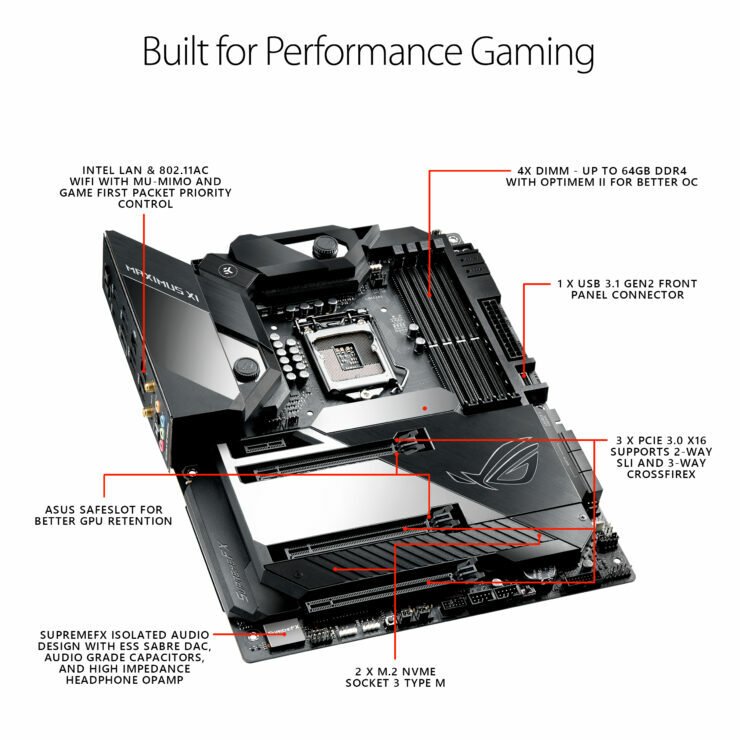 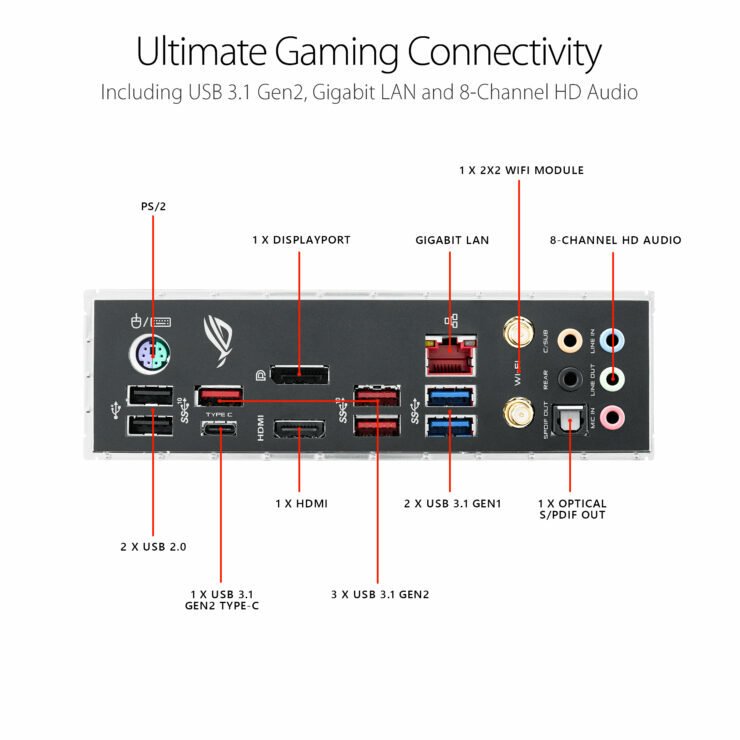 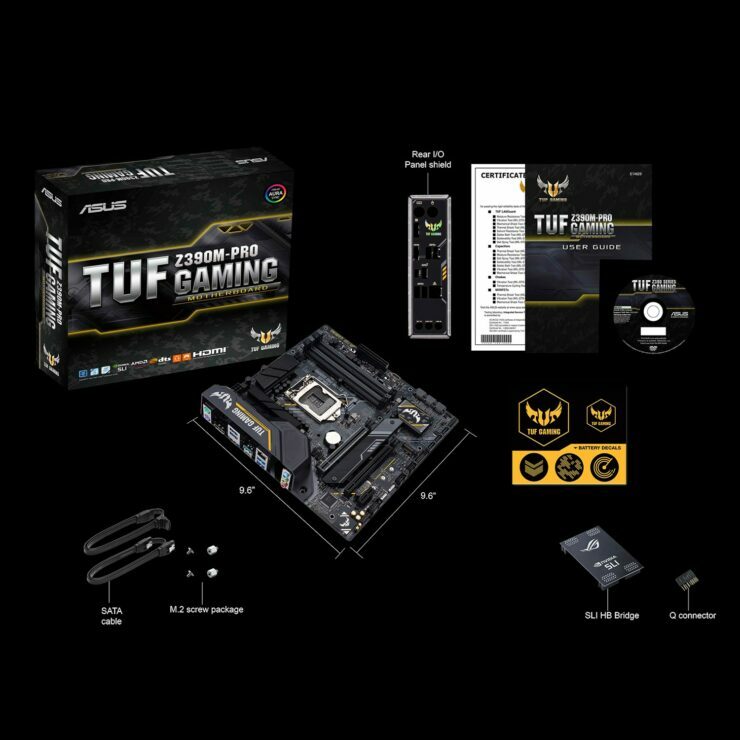 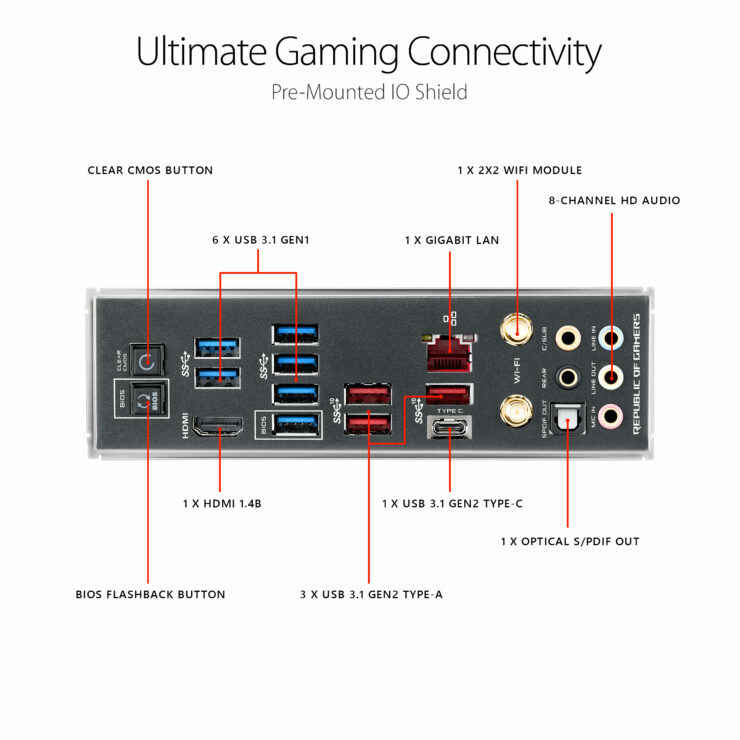 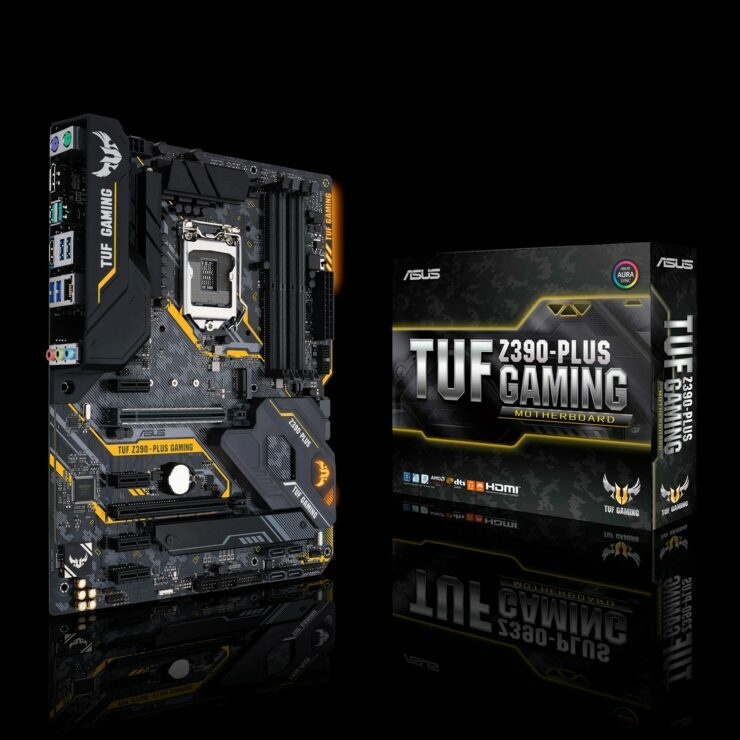 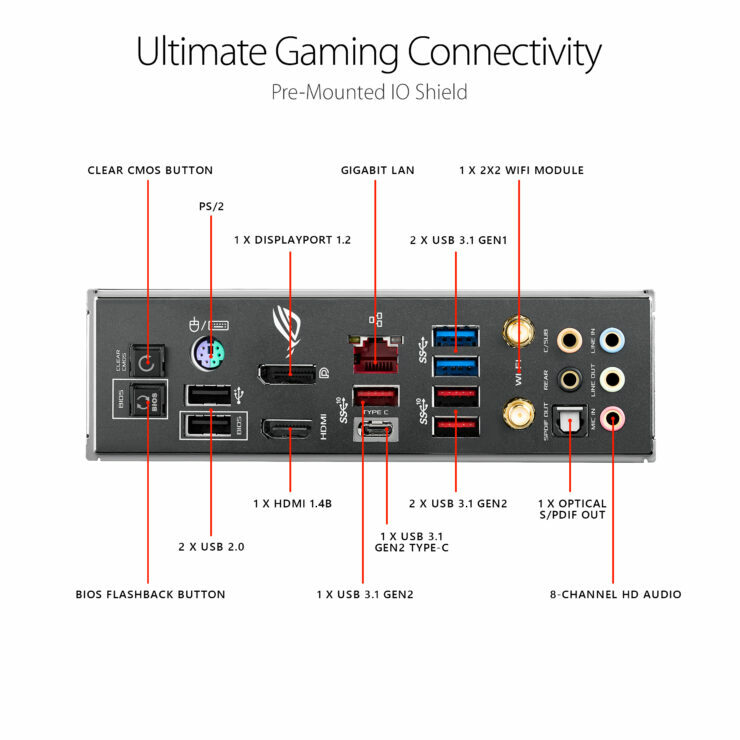 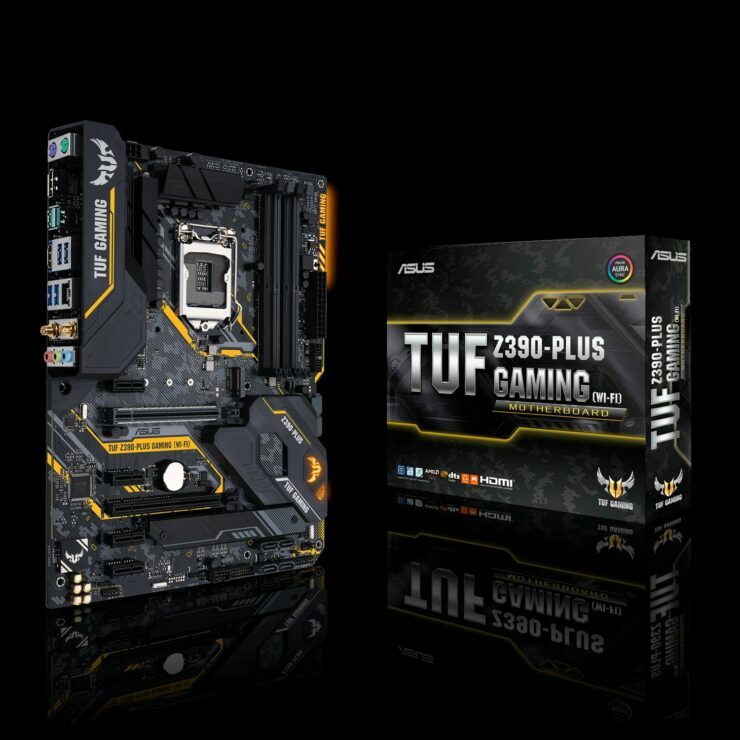 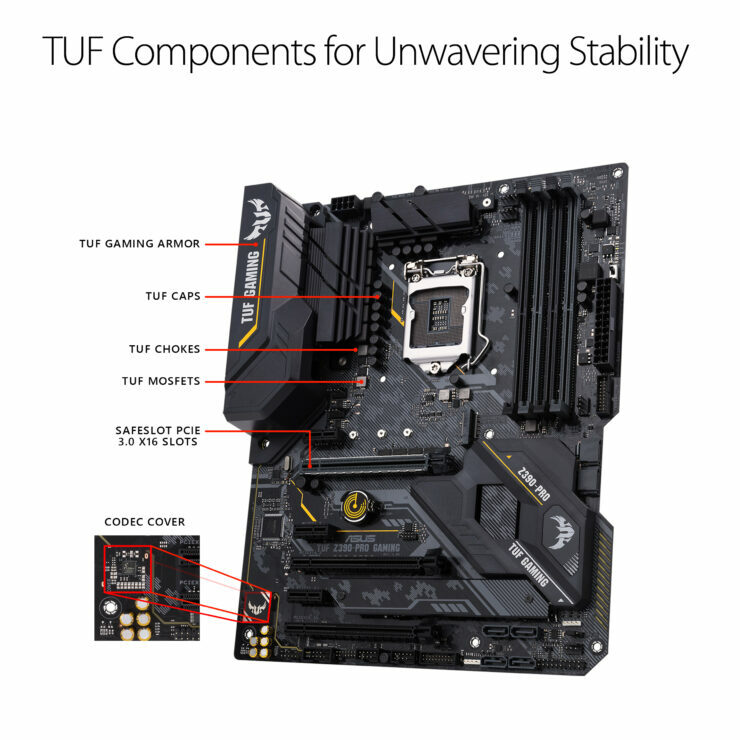 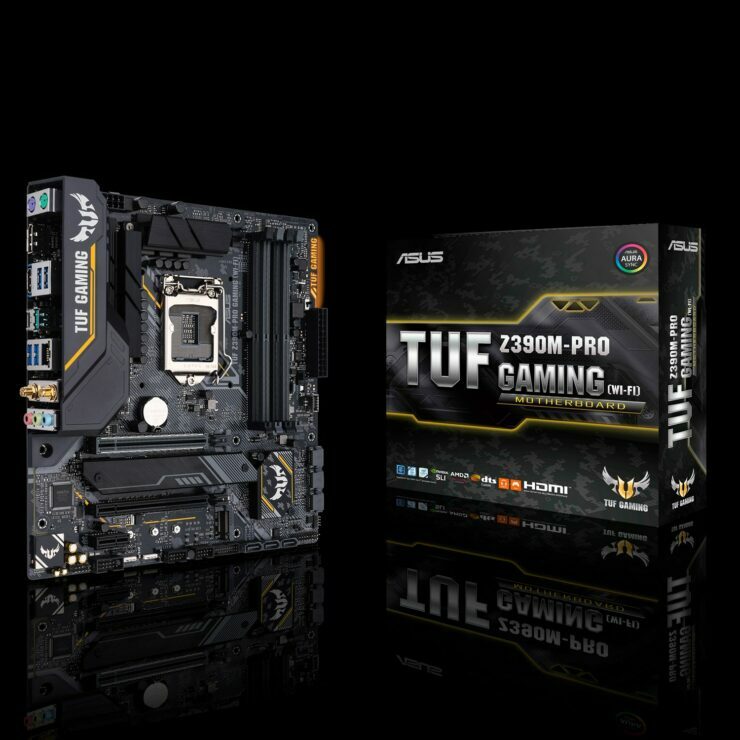 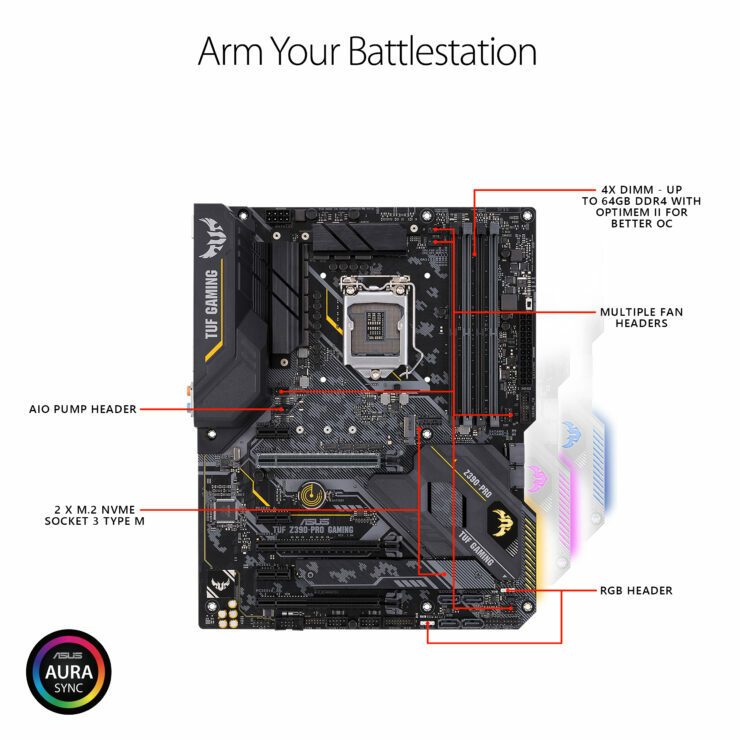 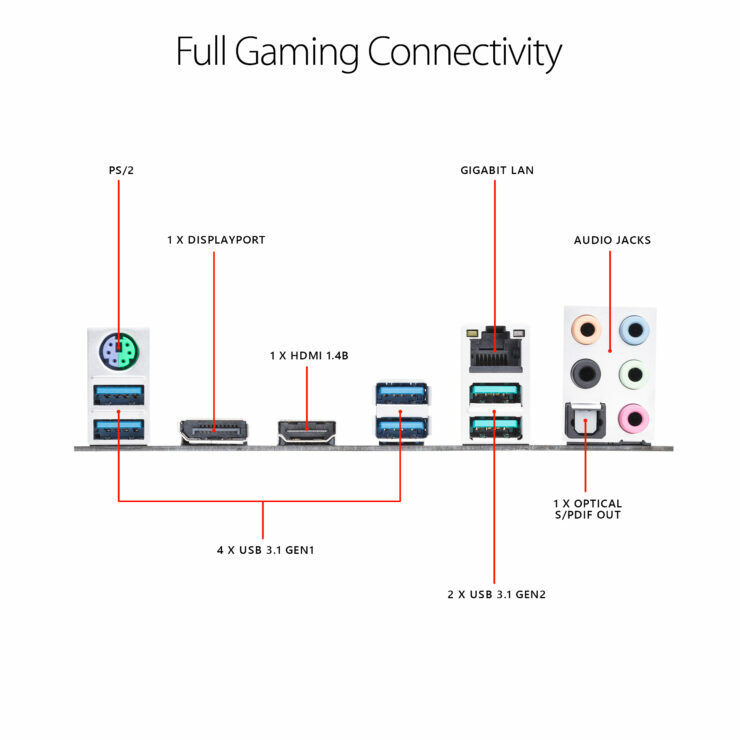 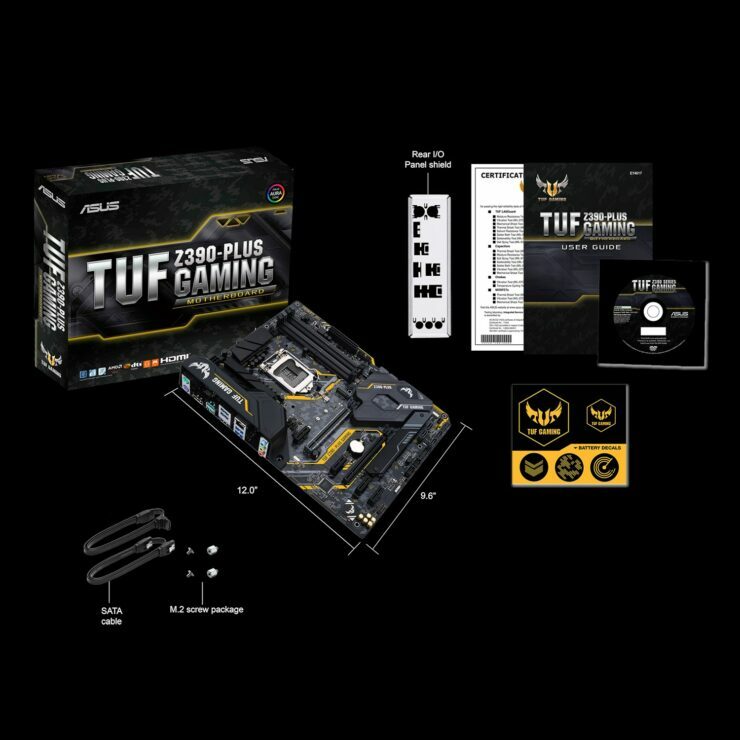 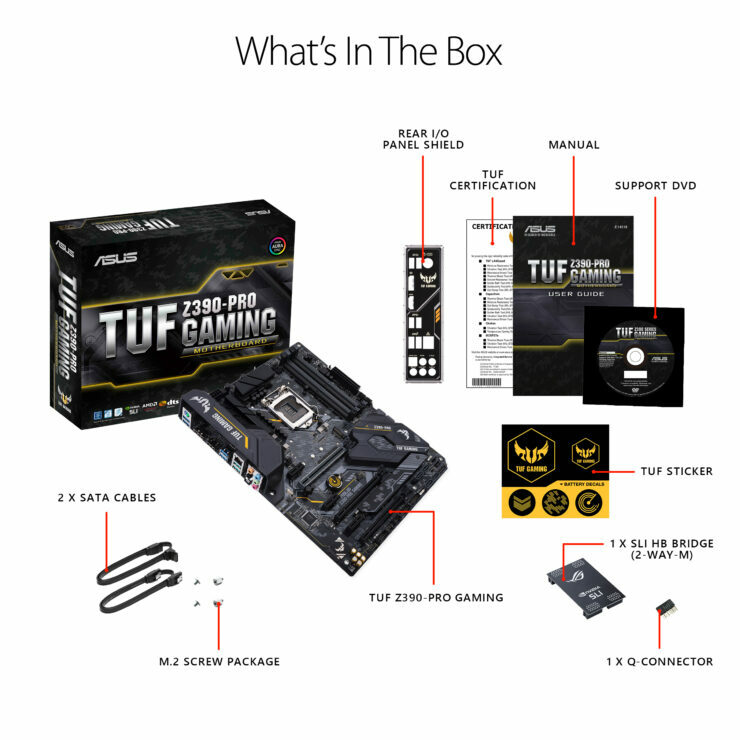 The ASUS TUF Gaming series comes in five motherboard options this time including the two MATX options and you can see them along with their details below. 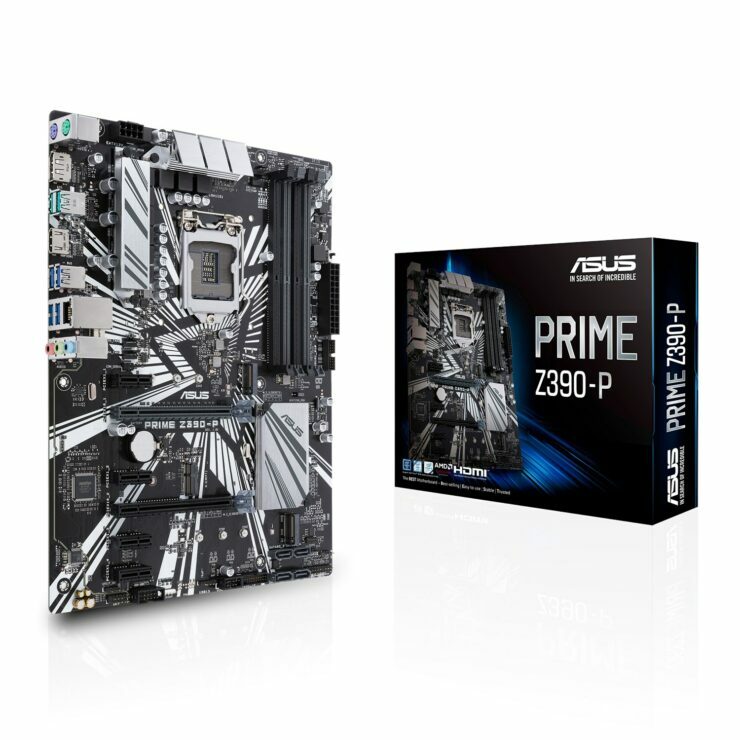 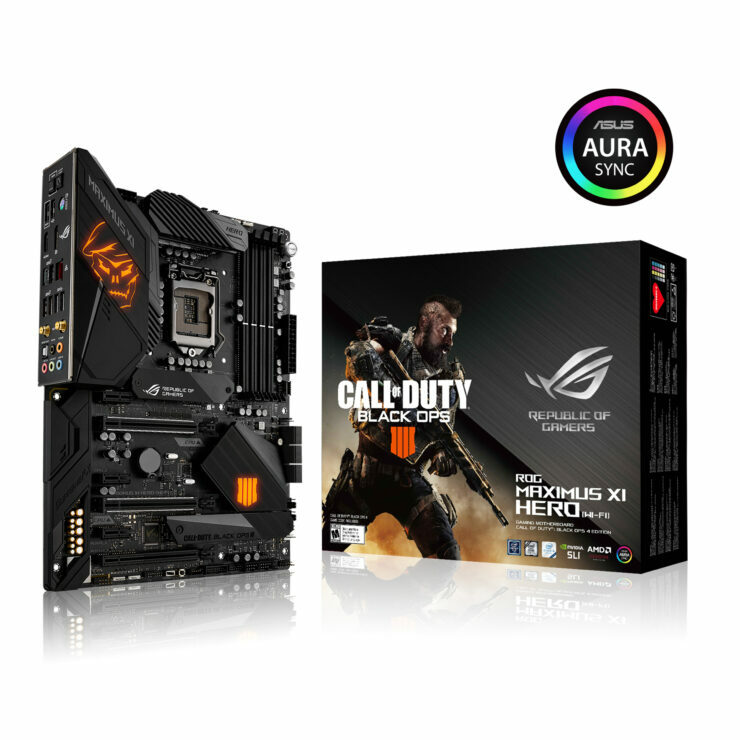 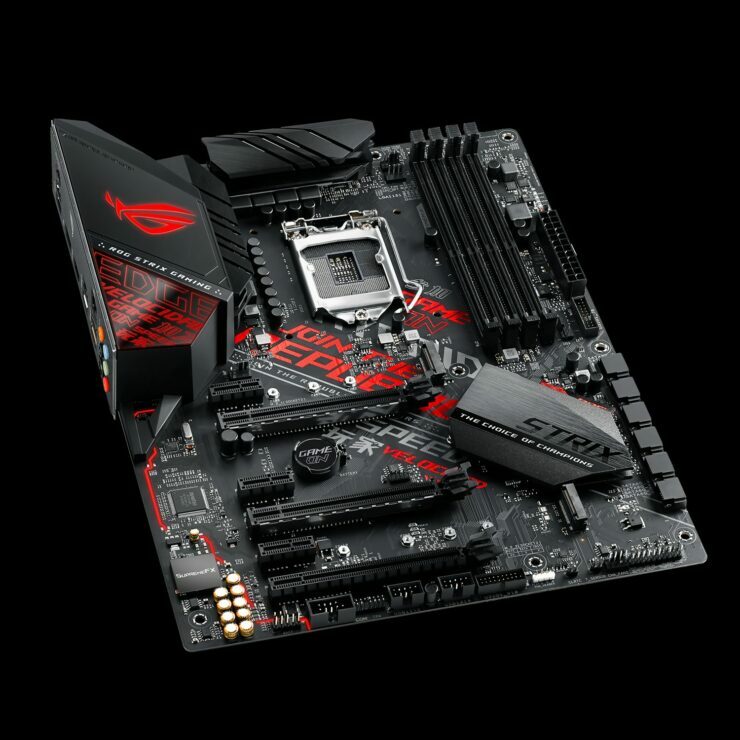 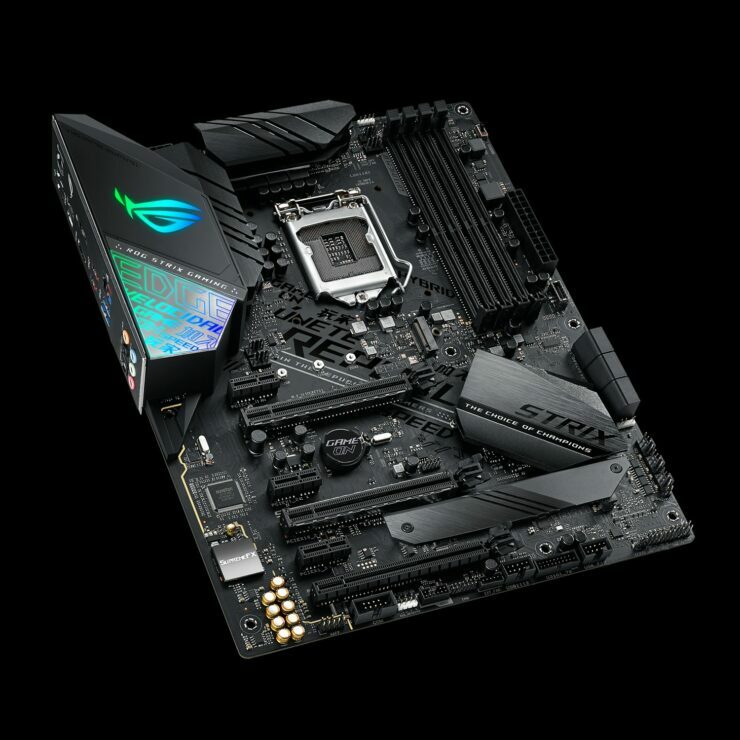 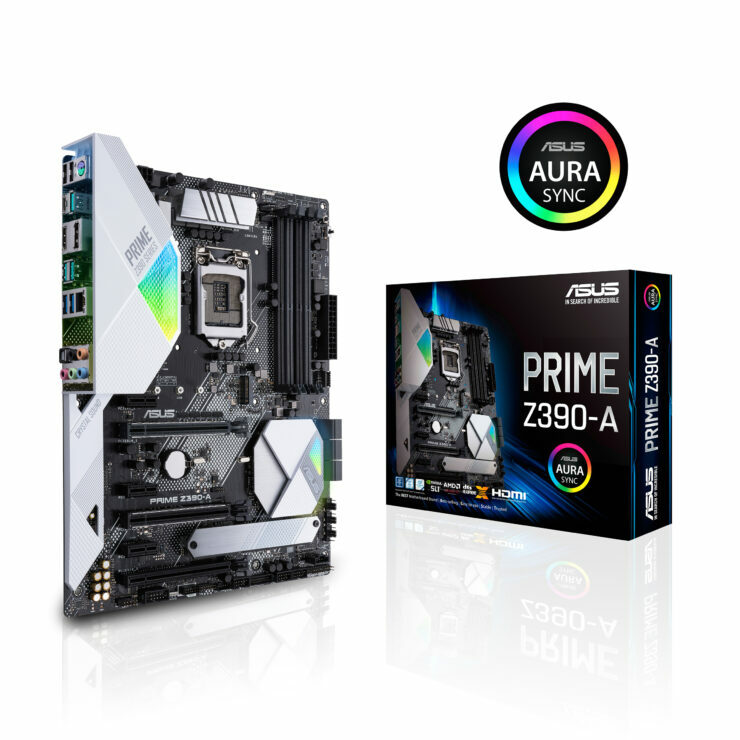 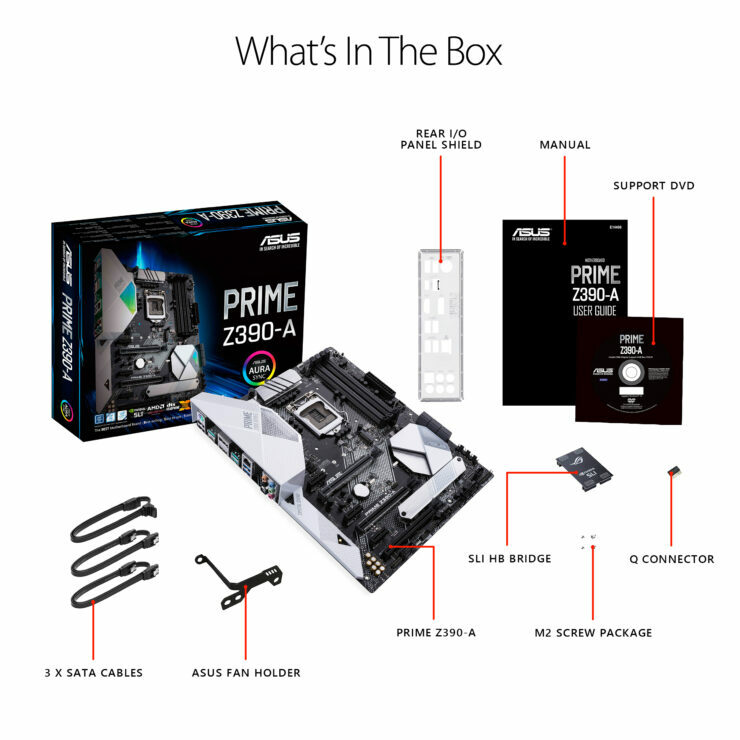 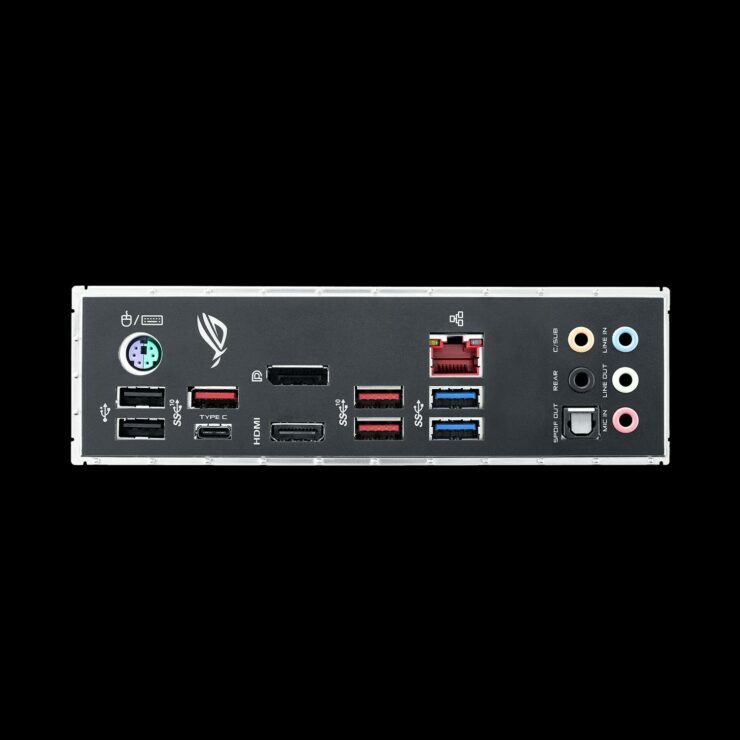 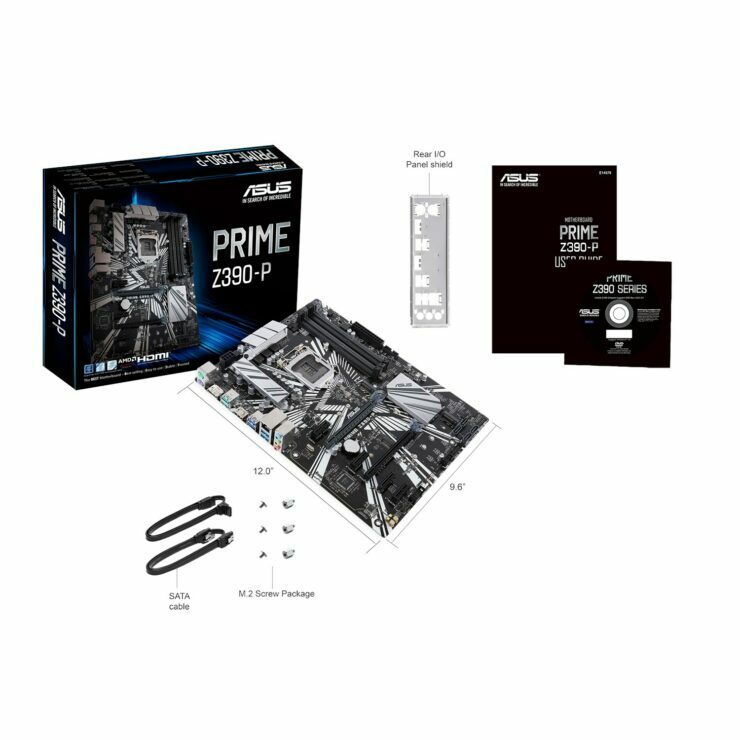 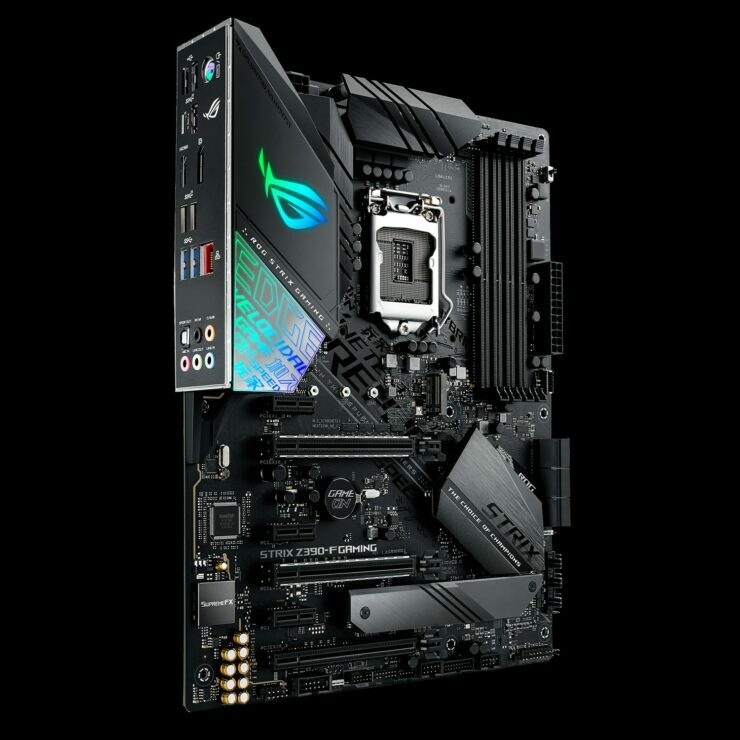 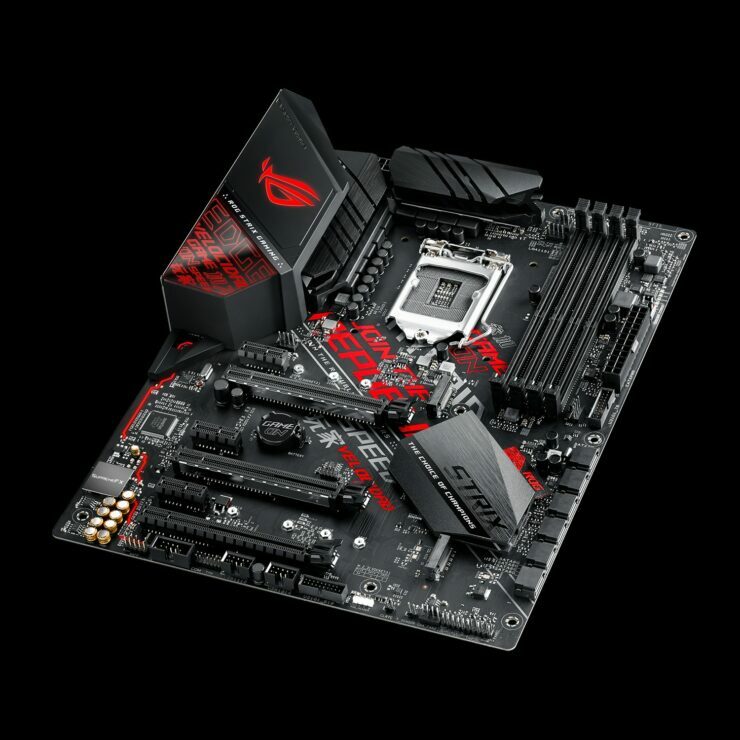 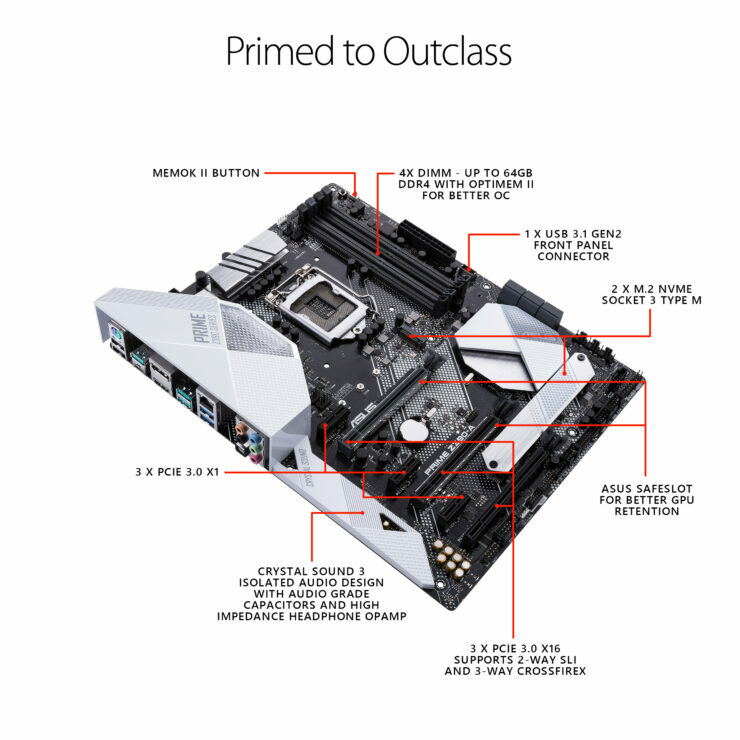 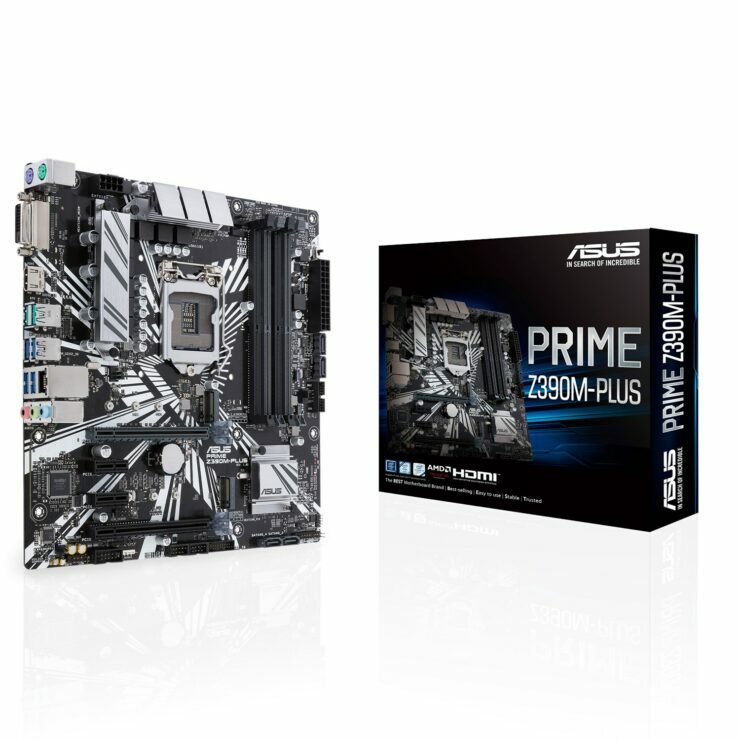 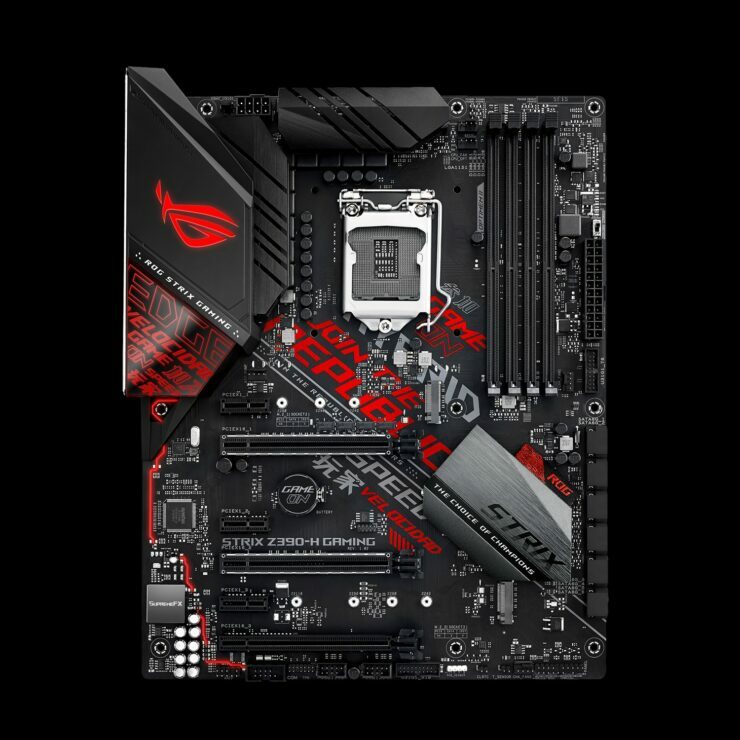 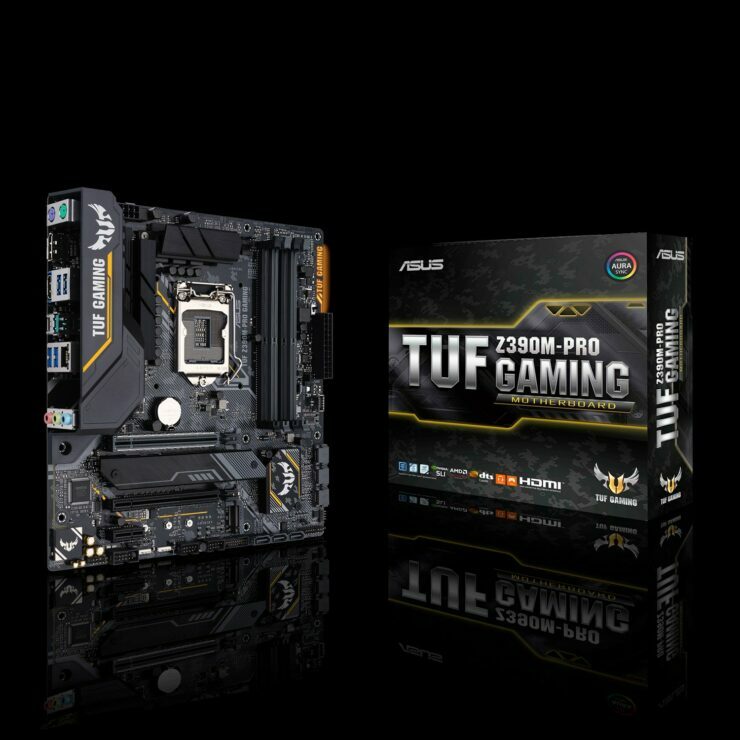 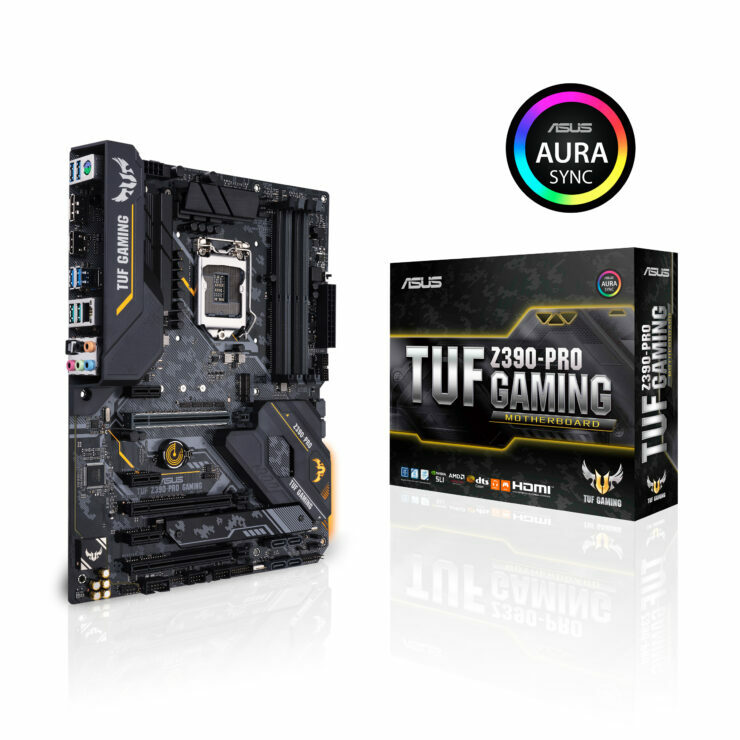 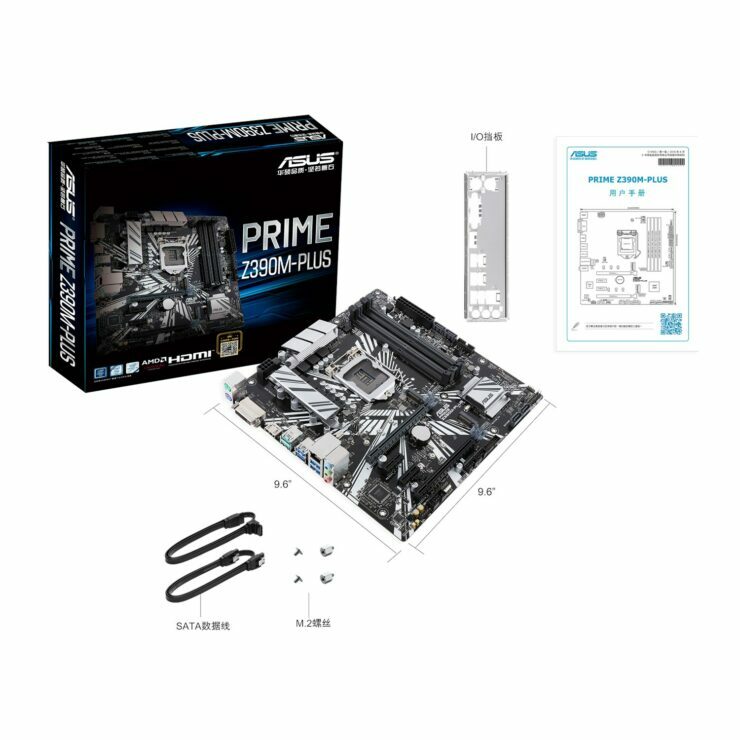 The ASUS PRIME series comes in four motherboard options this time including the three PRIME and a single workstation oriented design which you can see below.